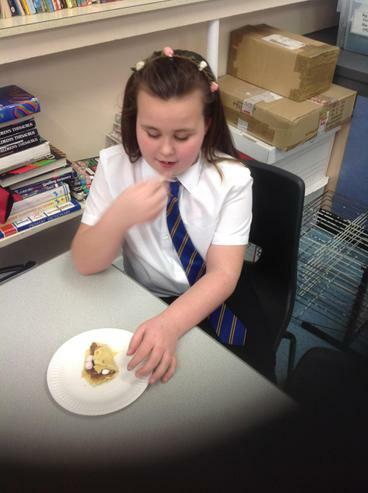 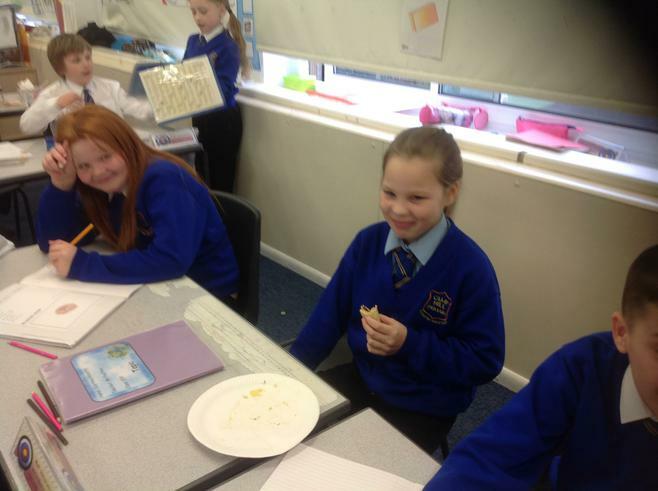 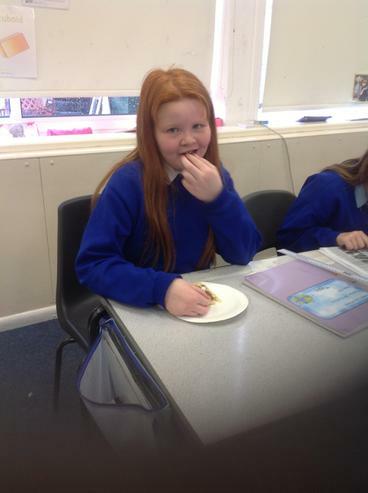 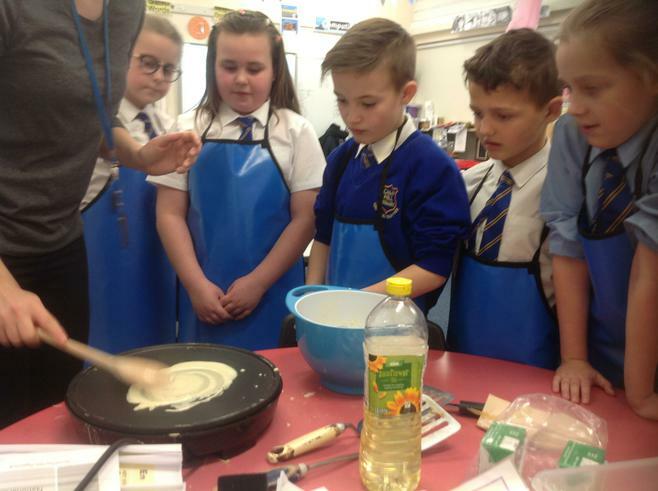 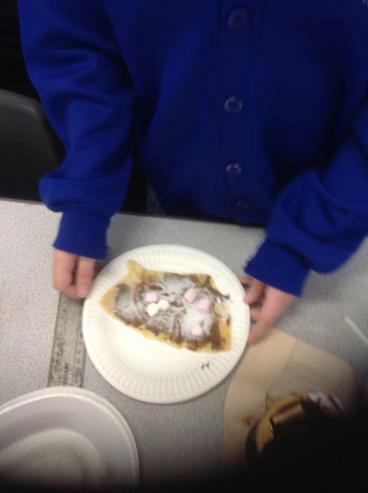 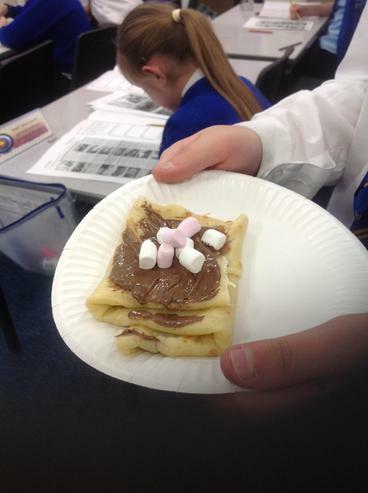 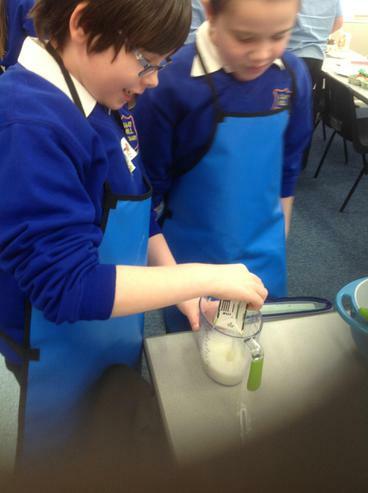 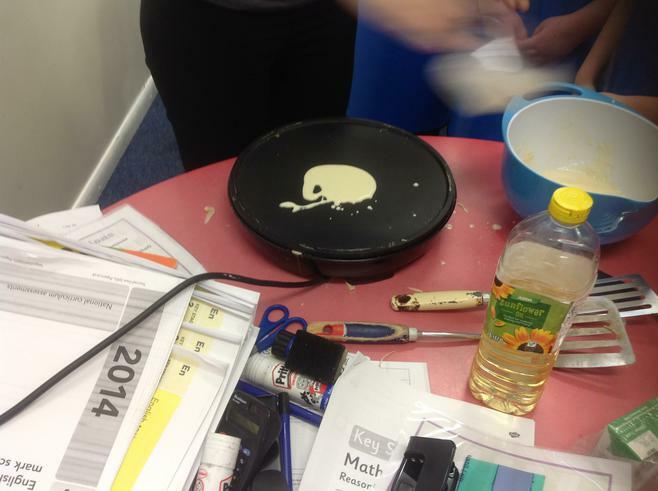 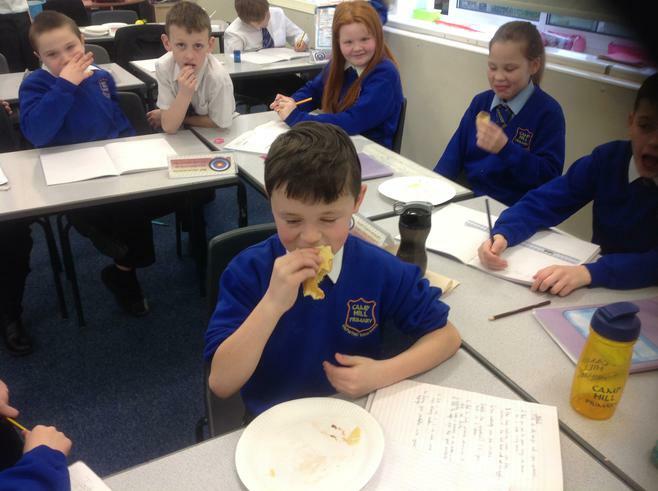 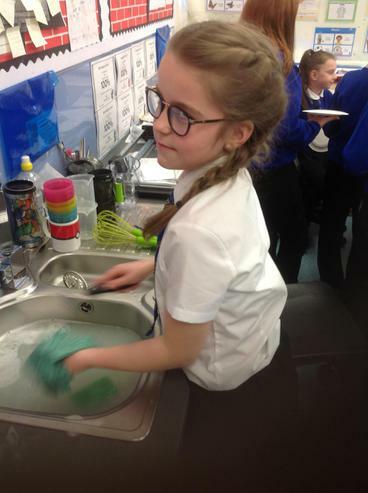 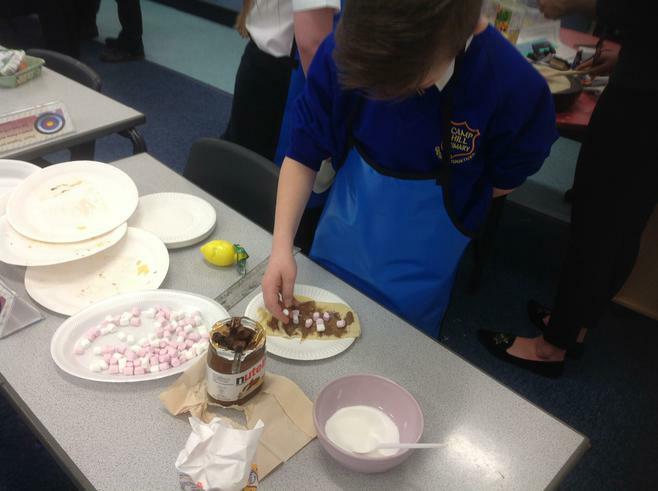 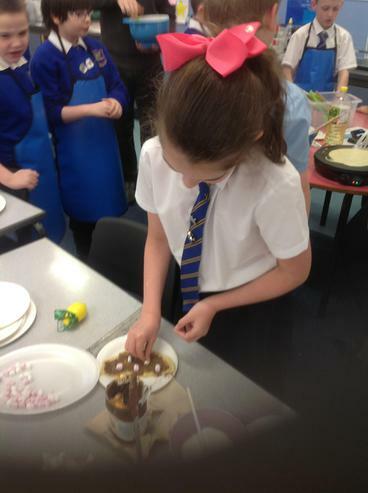 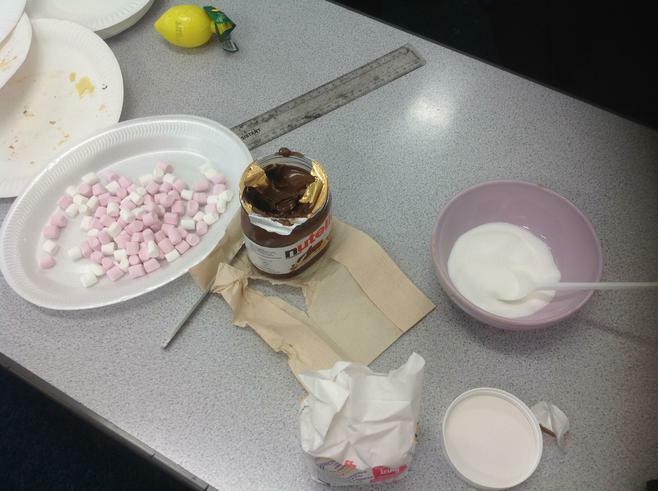 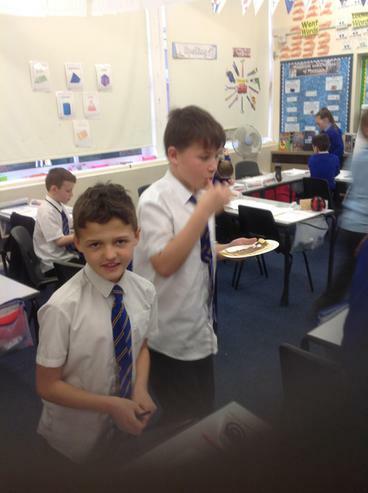 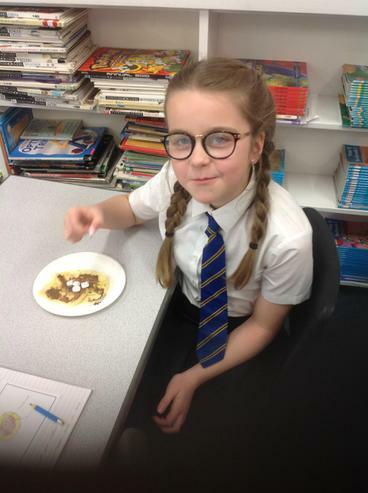 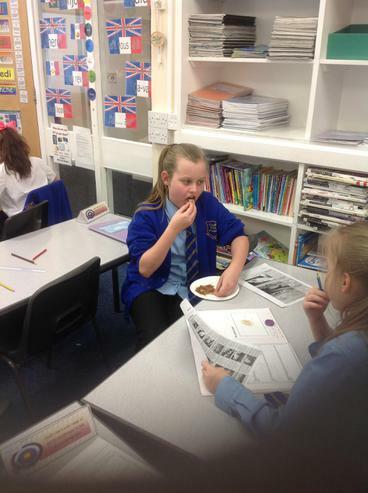 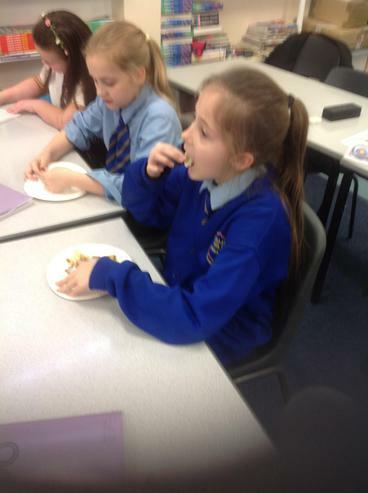 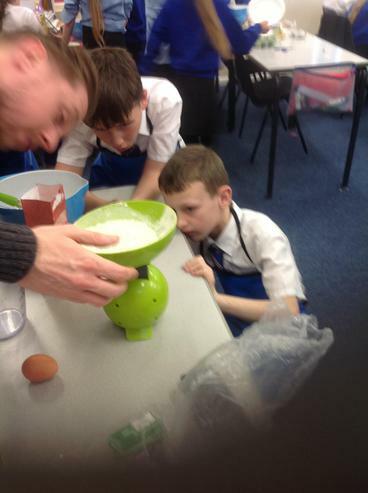 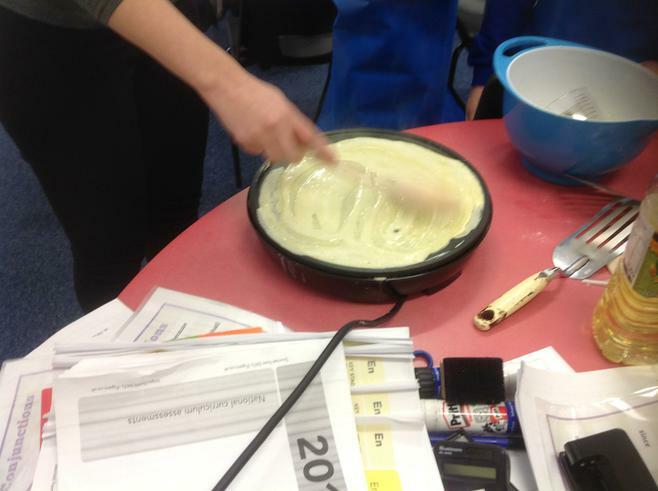 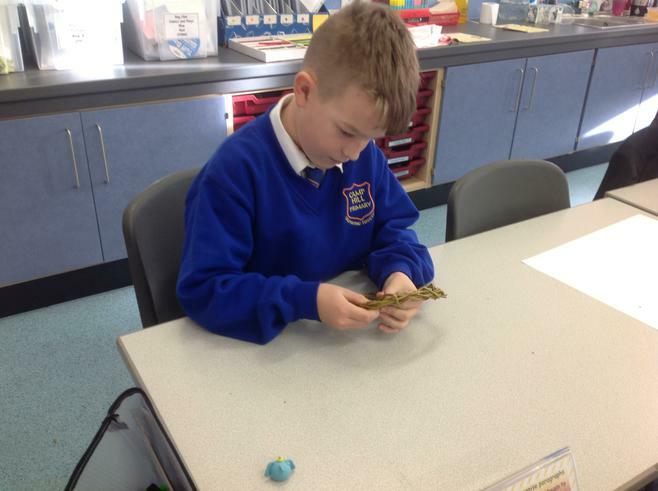 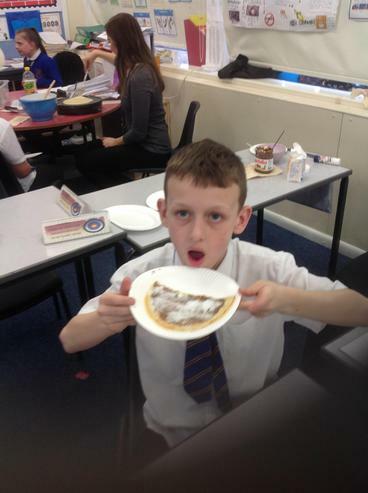 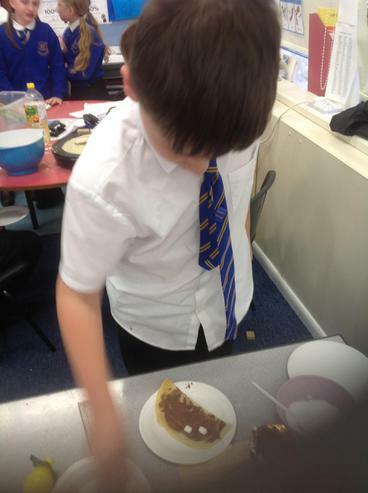 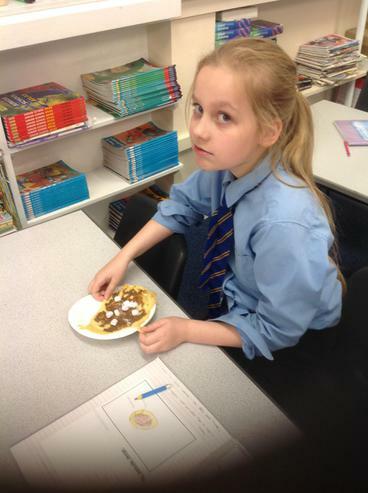 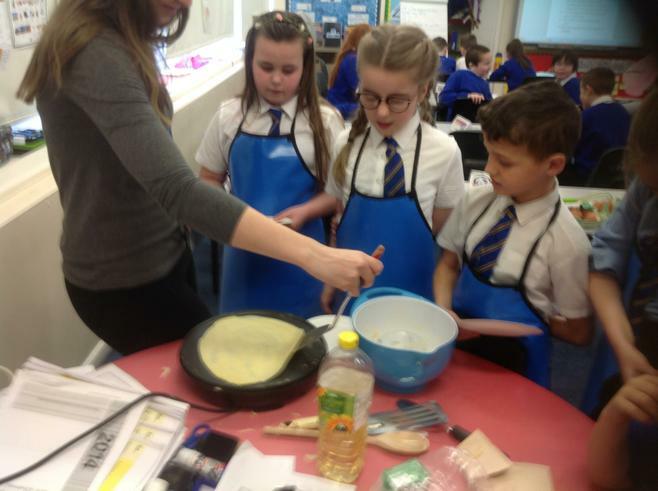 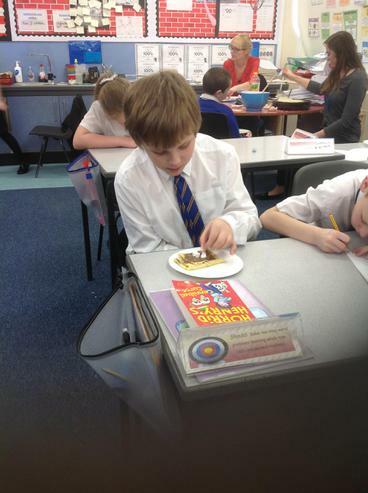 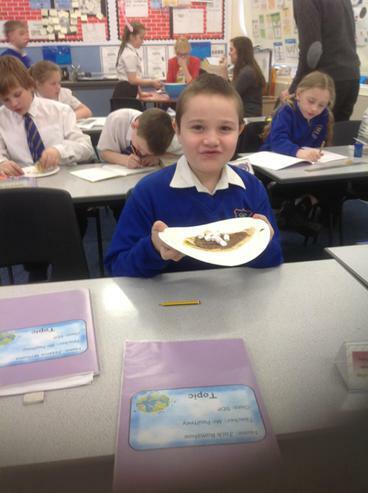 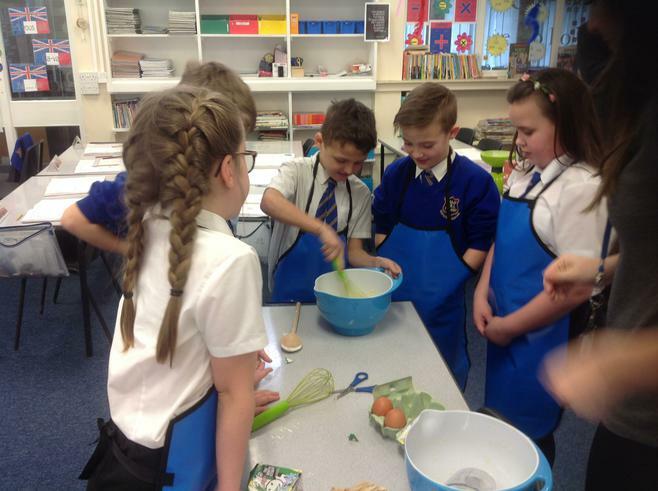 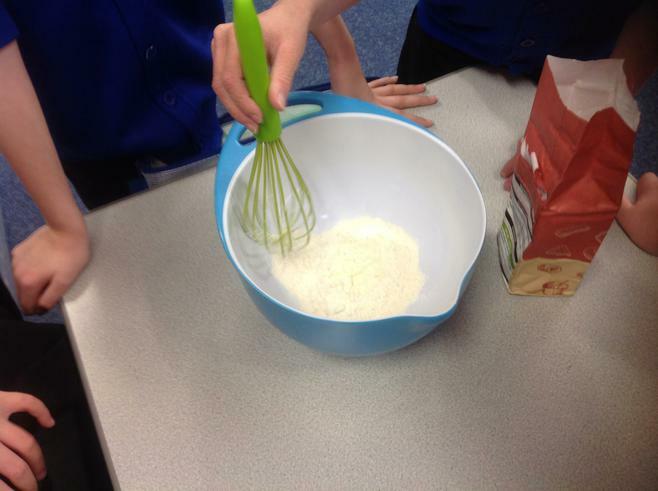 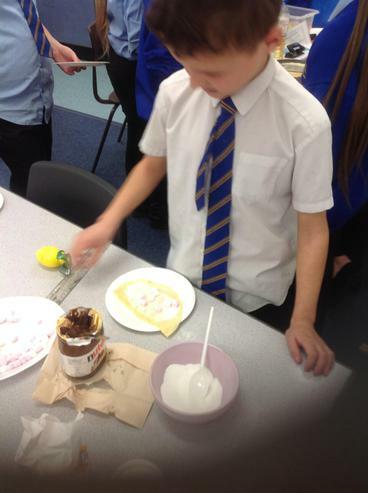 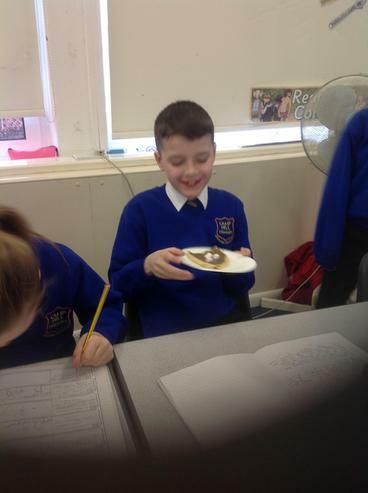 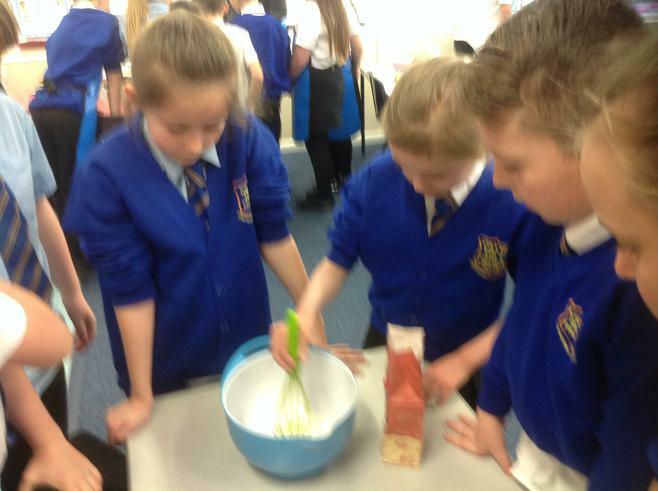 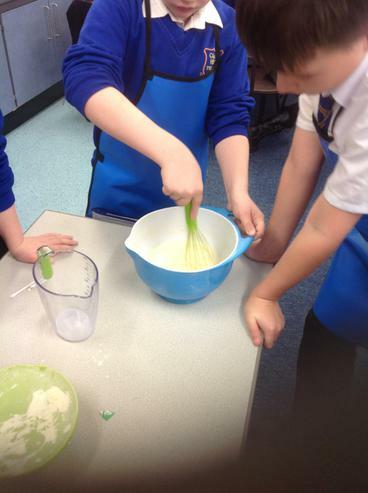 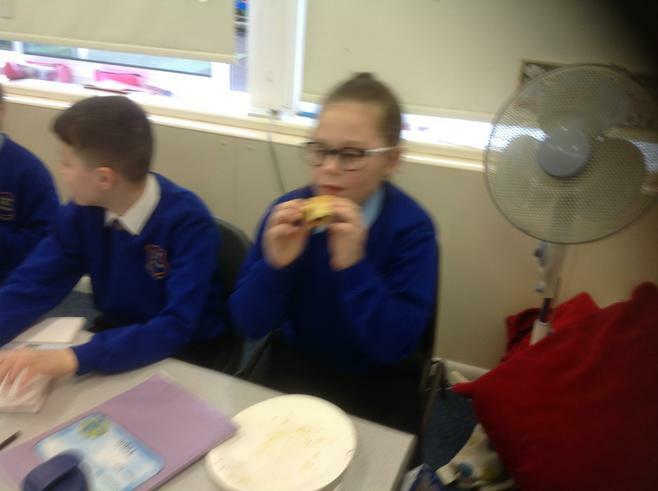 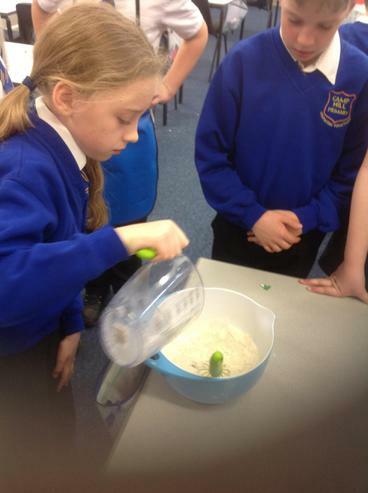 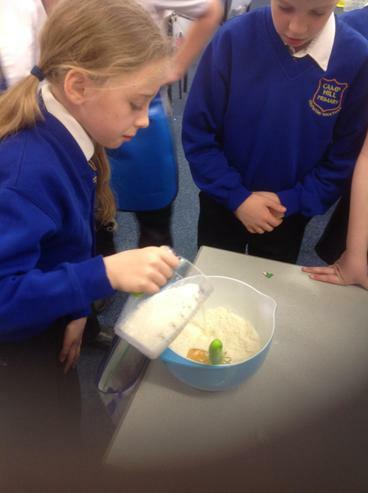 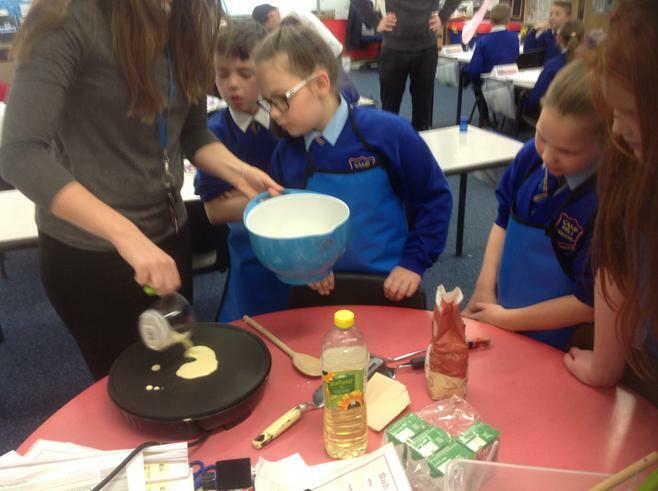 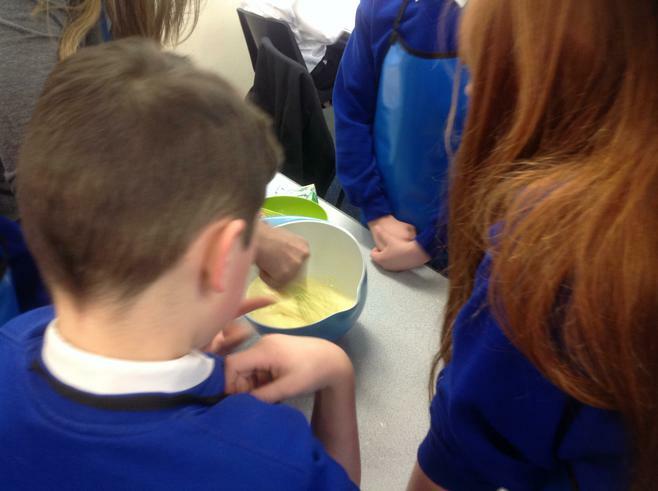 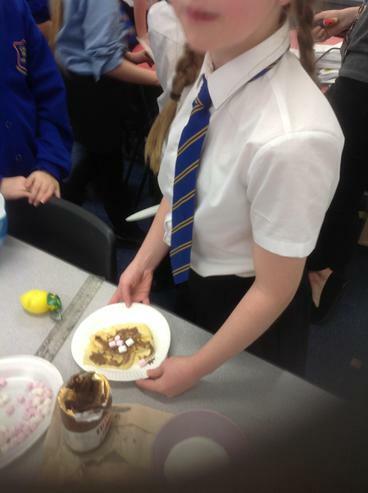 For Pancake Day, 5DP designed and made their own pancakes. 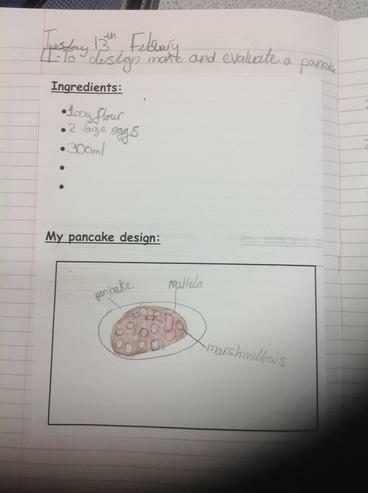 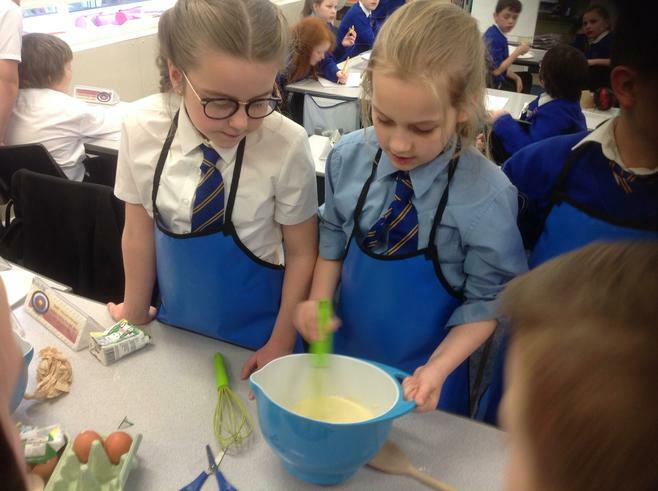 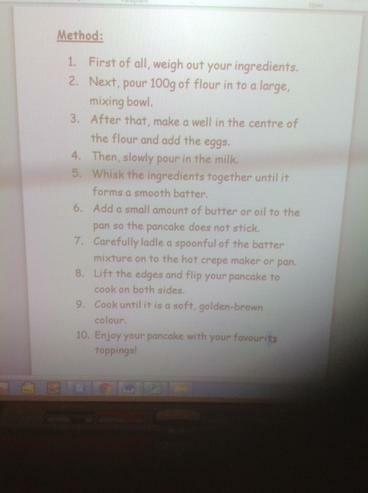 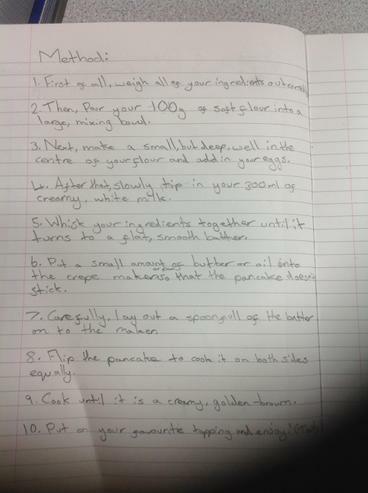 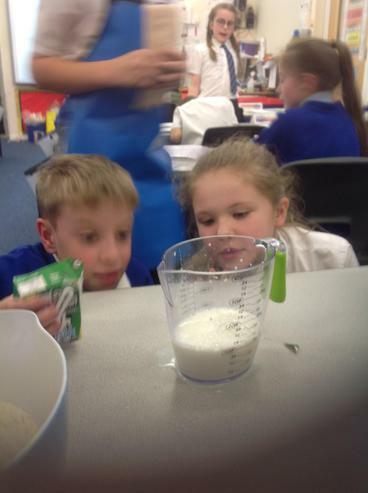 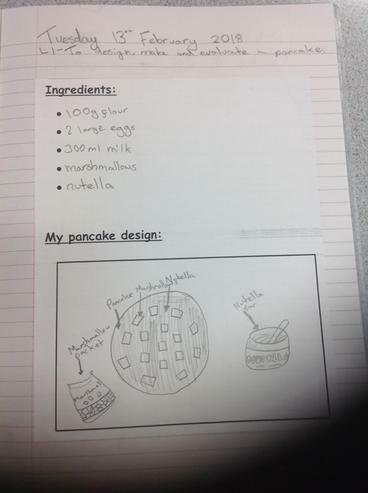 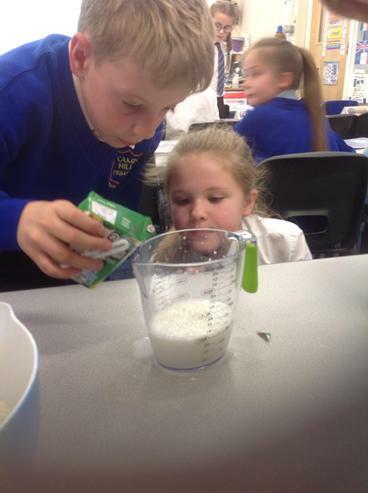 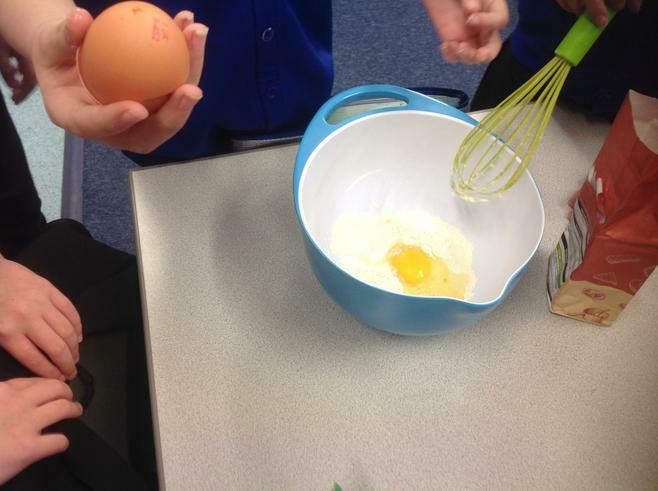 They wrote a recipe and instructions for making their pancakes before making, eating and evaluating them. 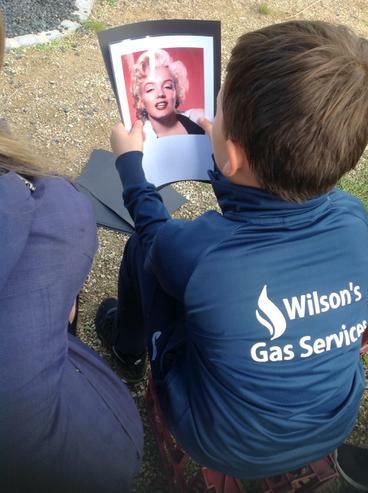 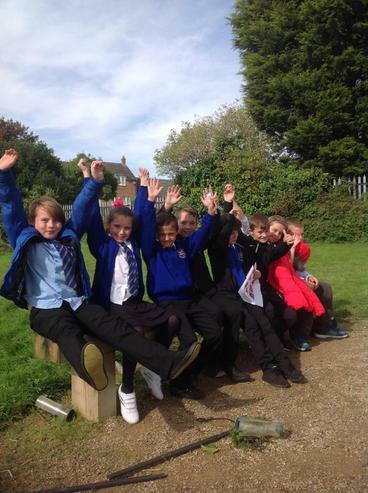 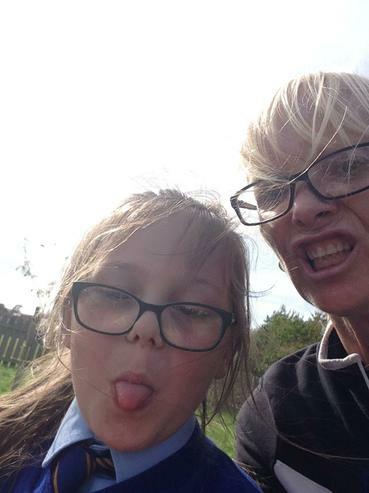 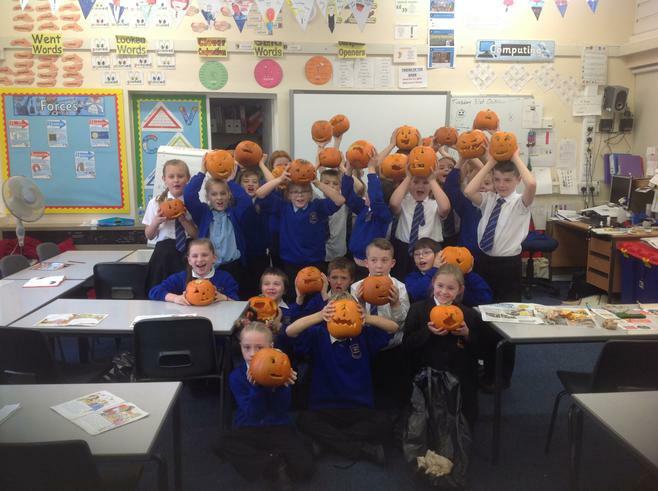 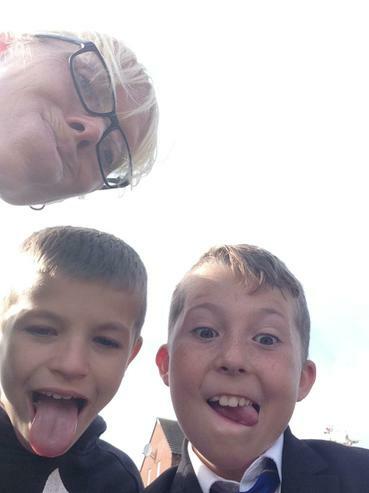 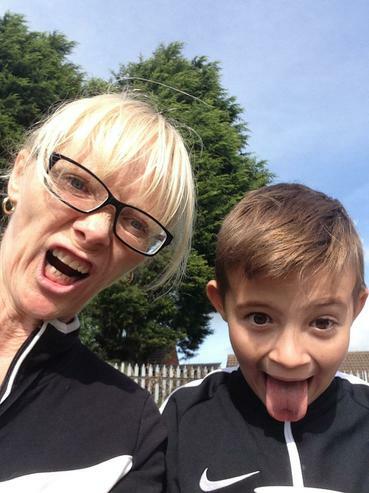 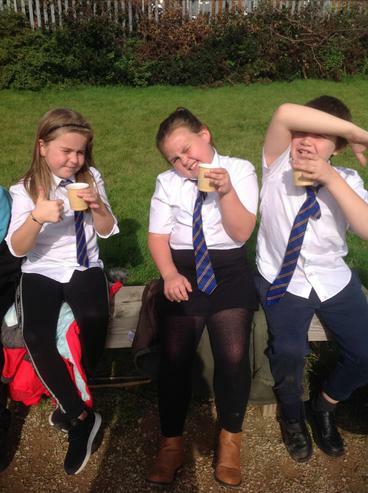 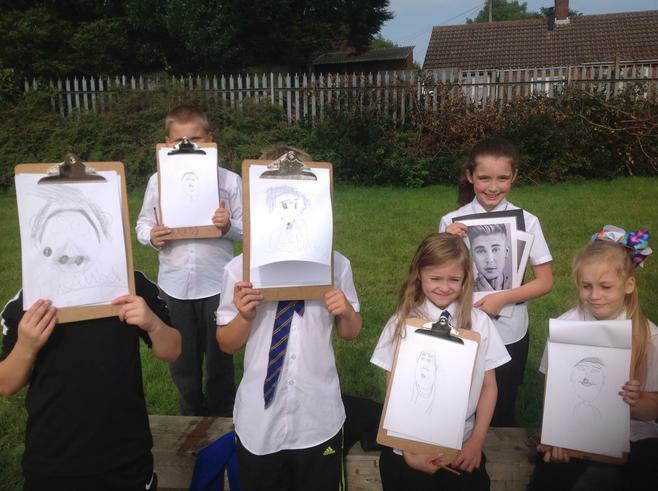 They enjoyed them immensely! 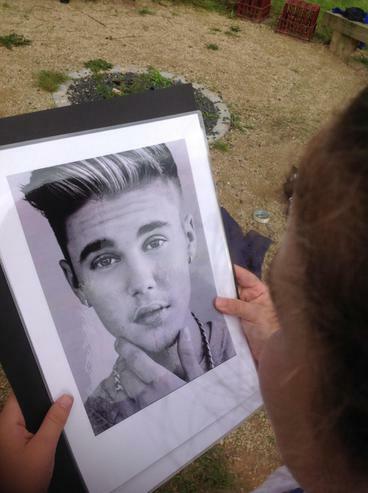 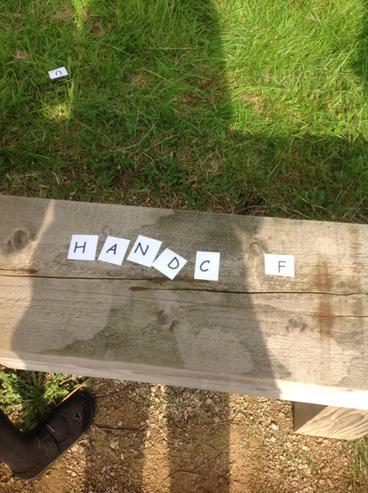 What would you put on yours? 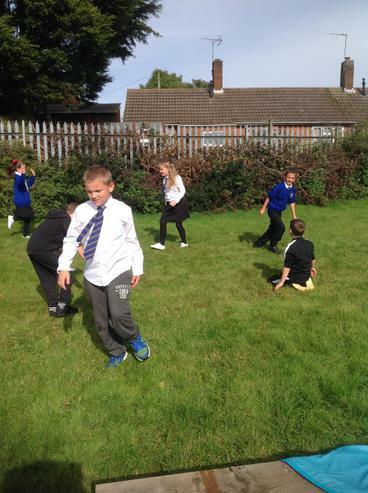 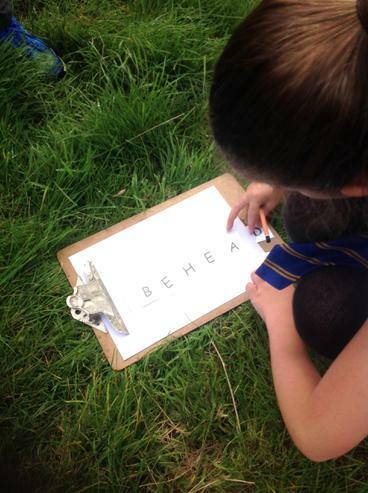 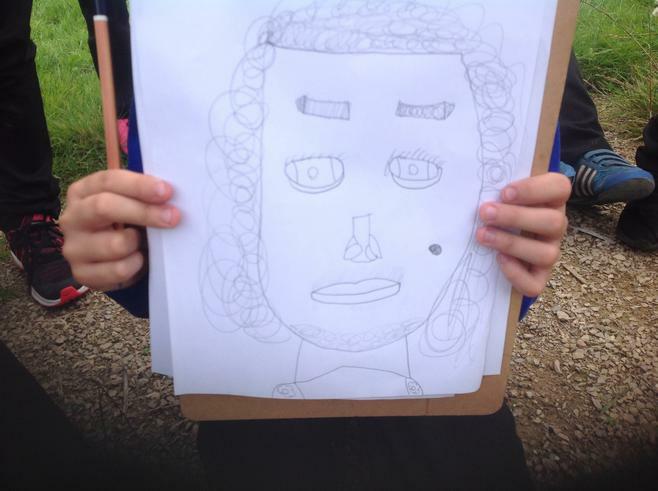 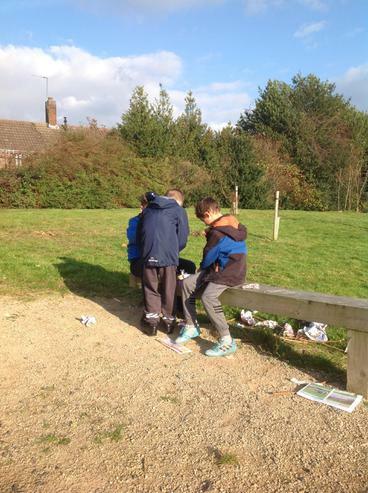 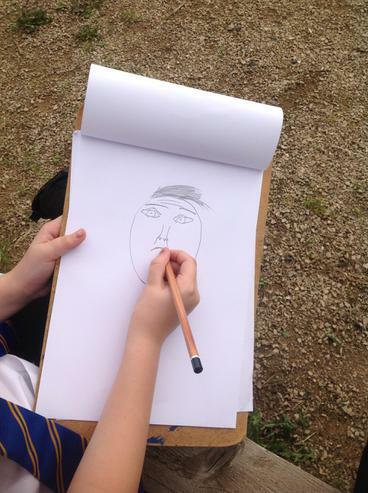 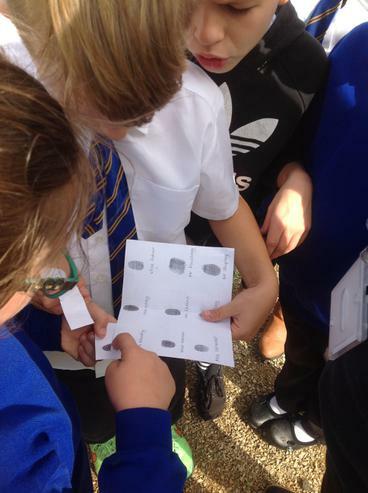 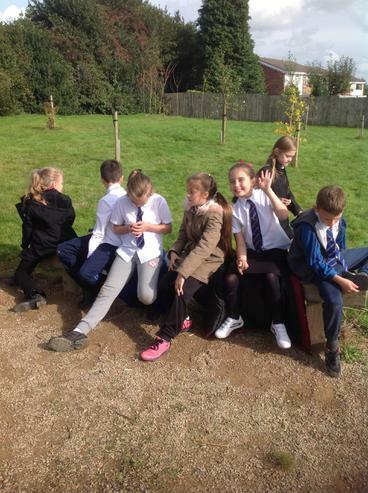 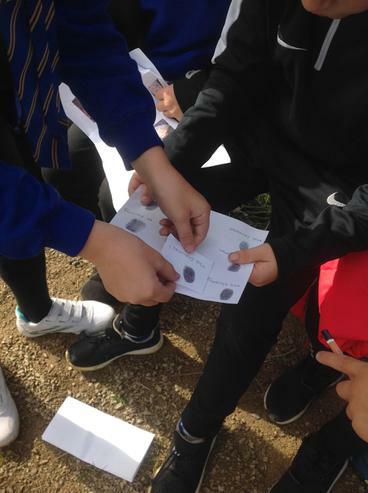 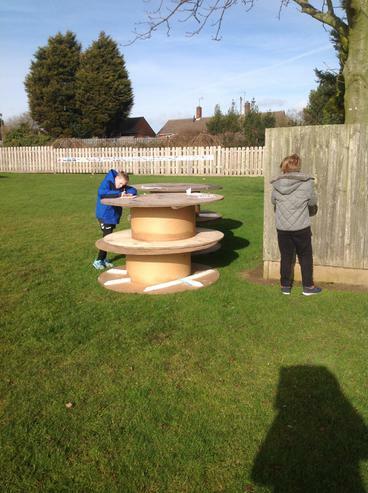 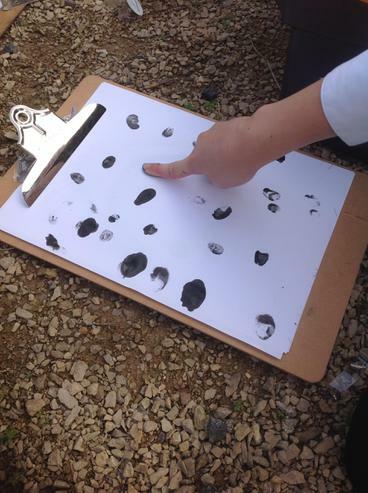 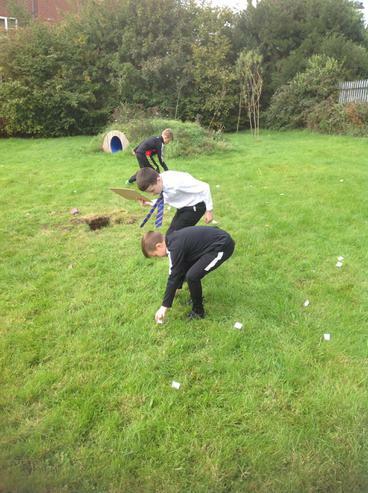 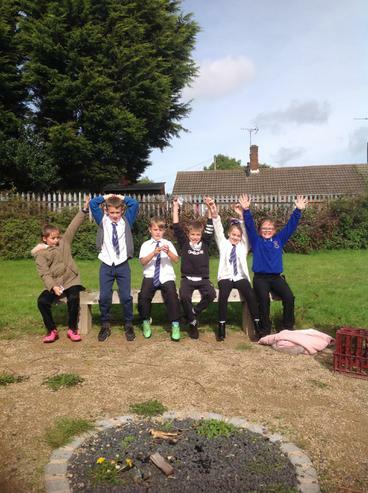 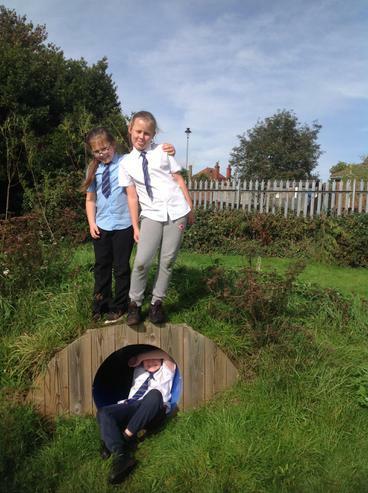 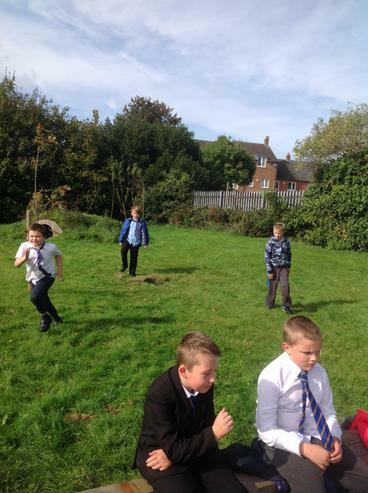 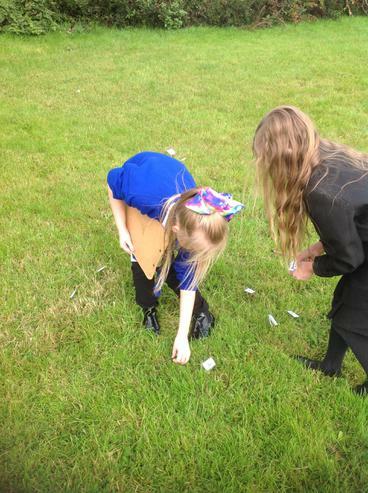 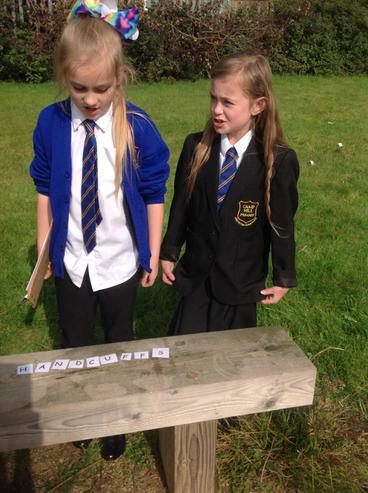 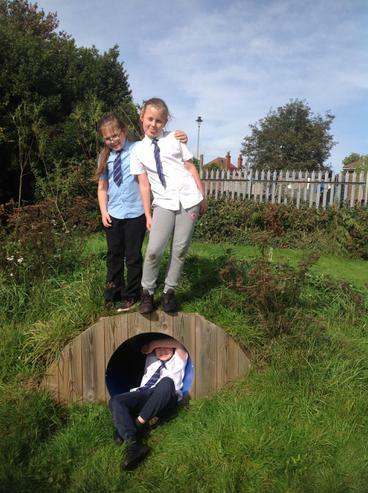 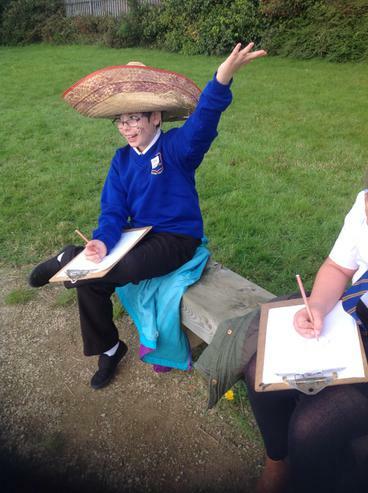 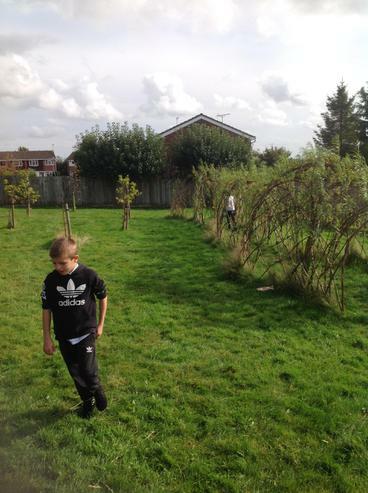 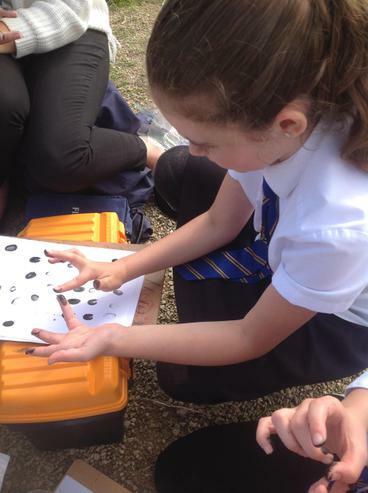 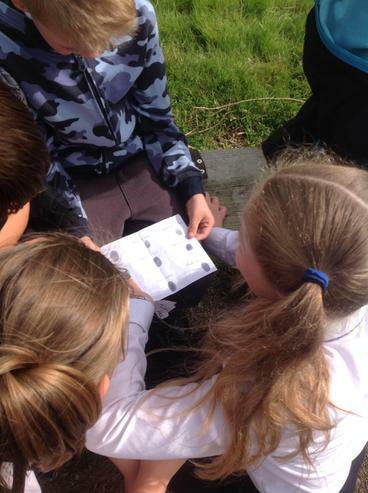 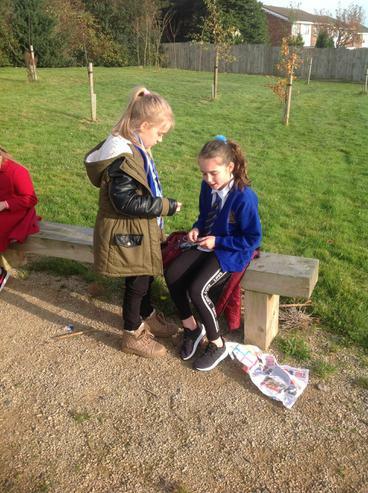 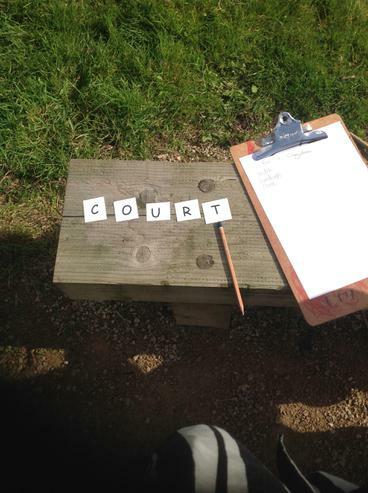 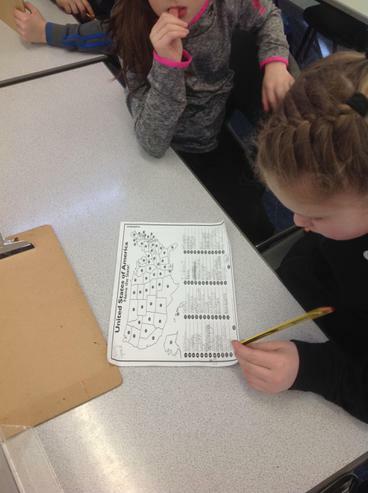 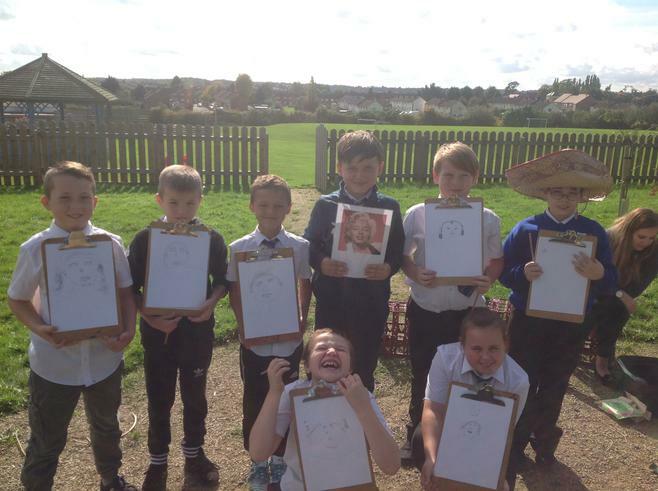 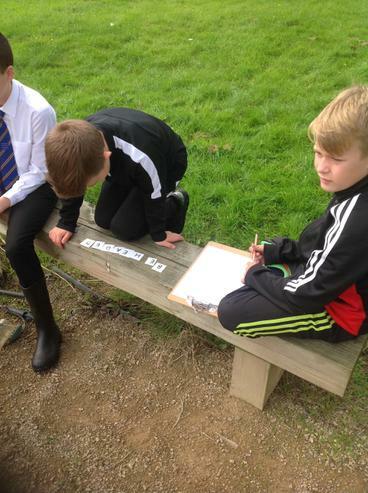 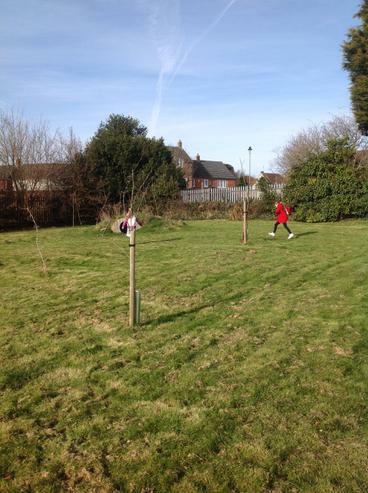 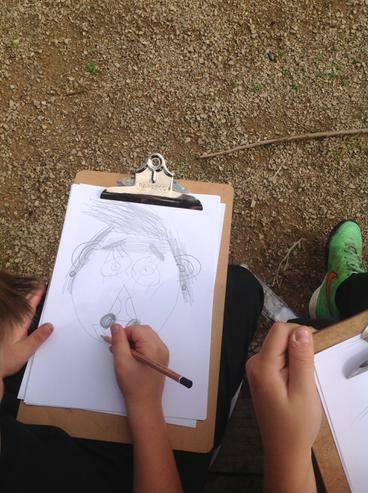 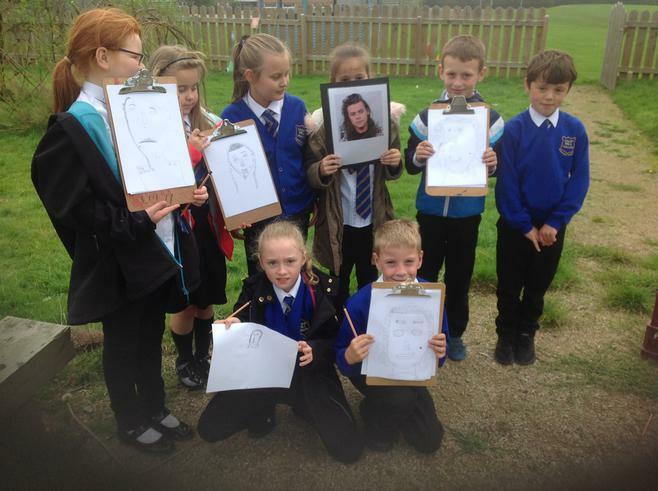 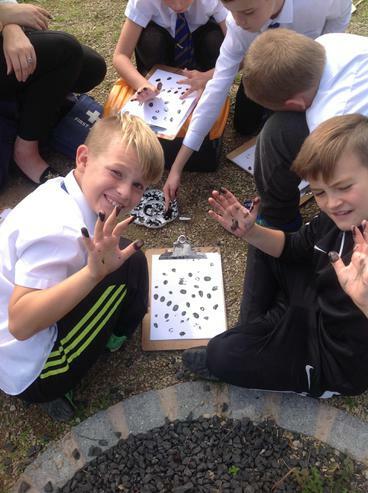 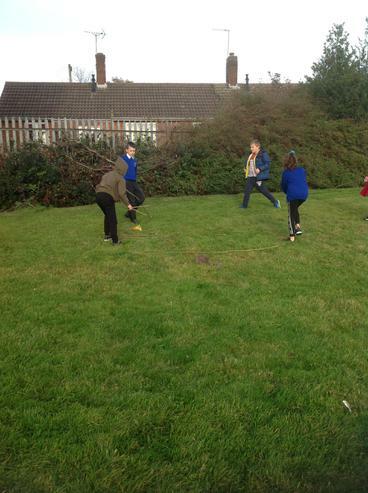 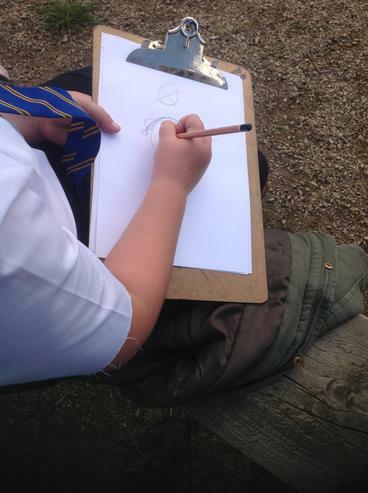 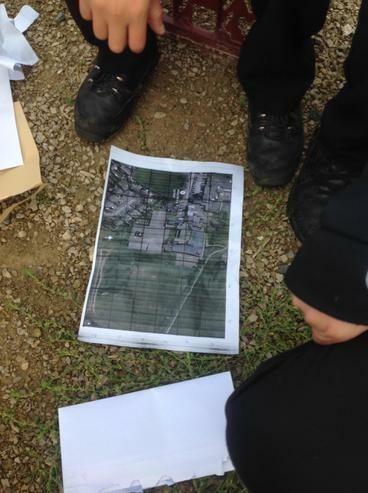 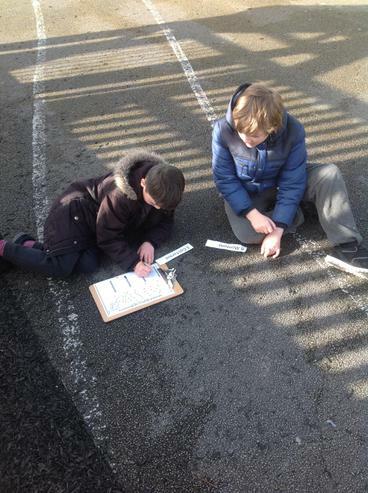 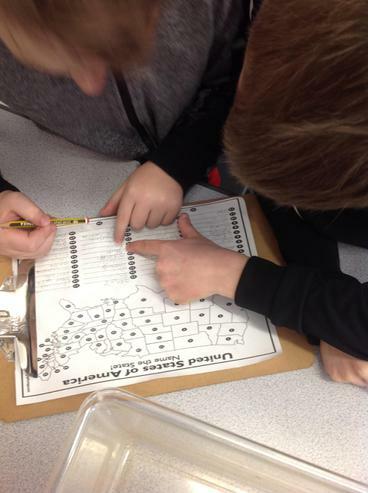 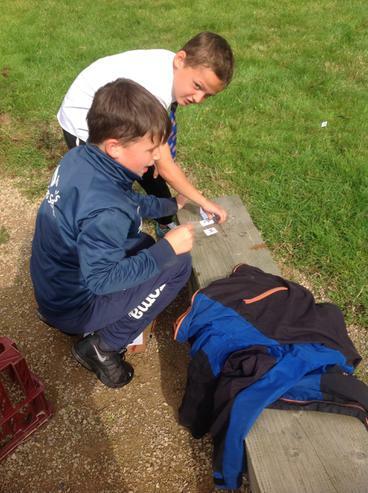 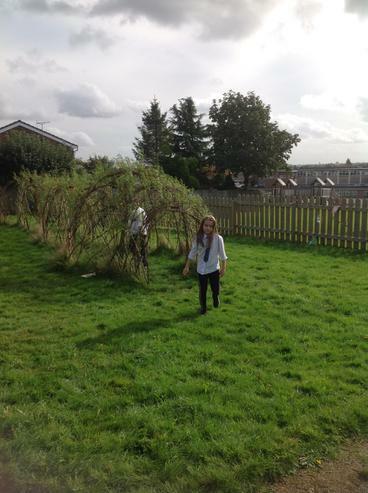 To end their America topic, 5DP went on a treasure hunt to find as many of the 50 state names of America as they could that were hidden all around the school grounds. 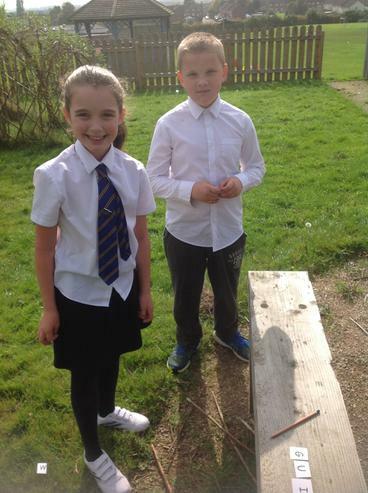 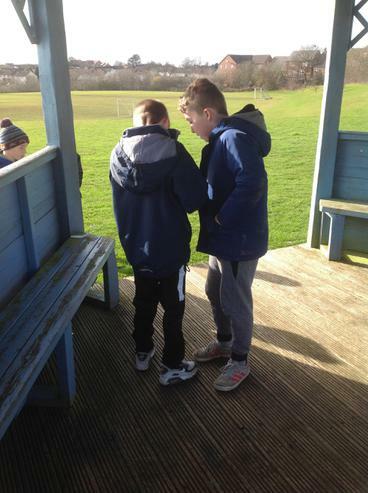 They worked in pairs and the winning team won a pack of mini-eggs! 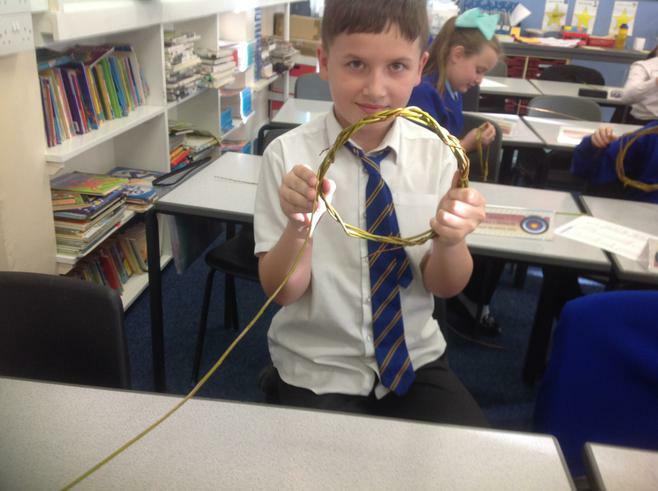 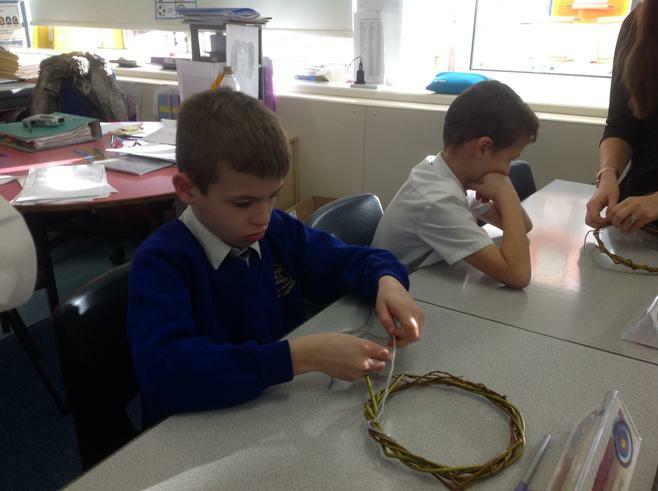 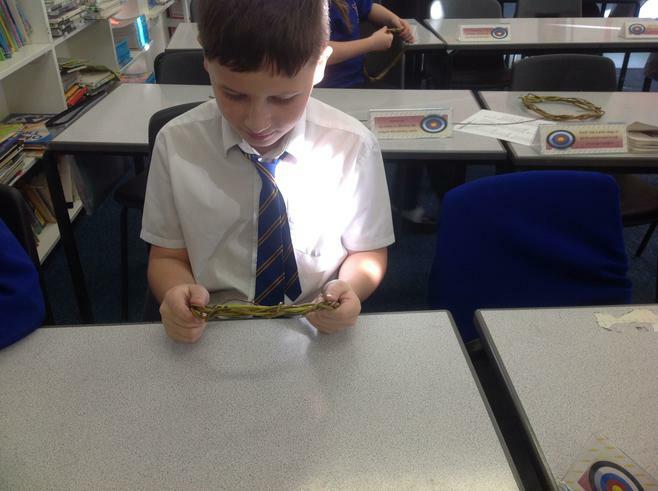 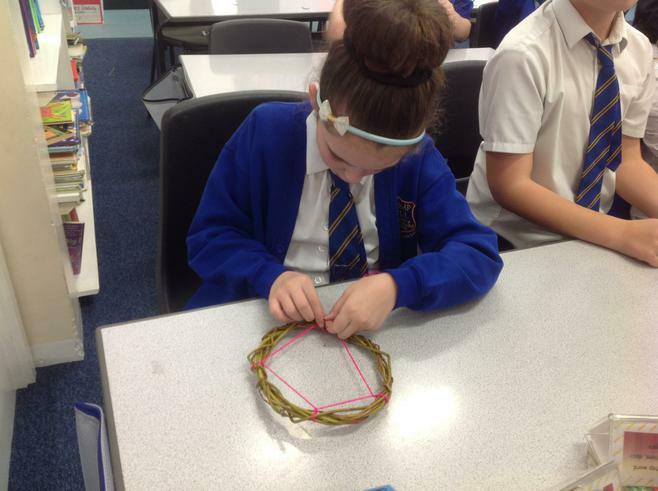 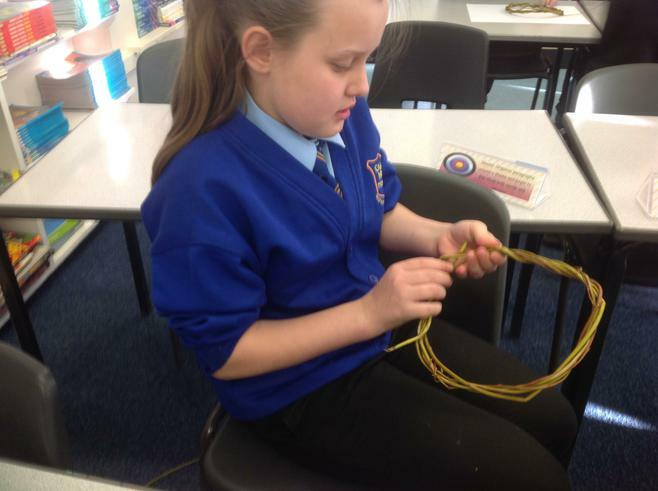 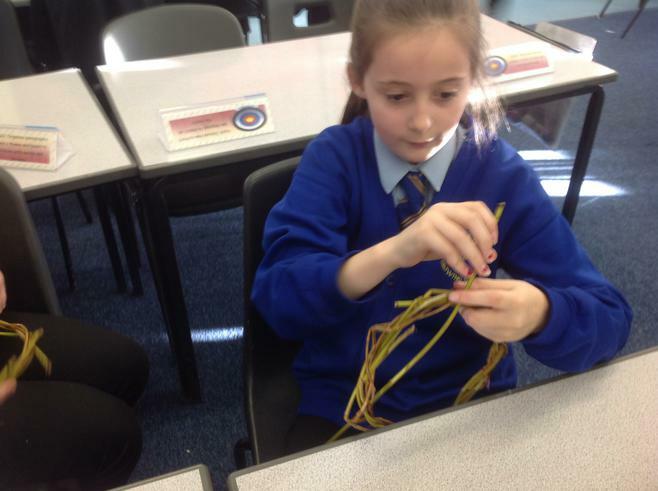 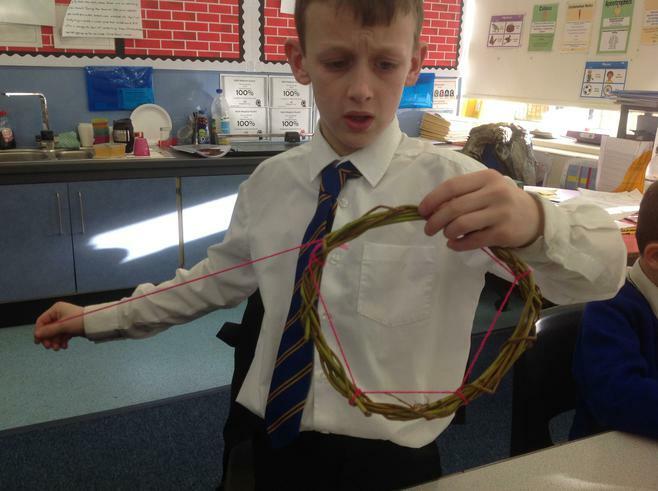 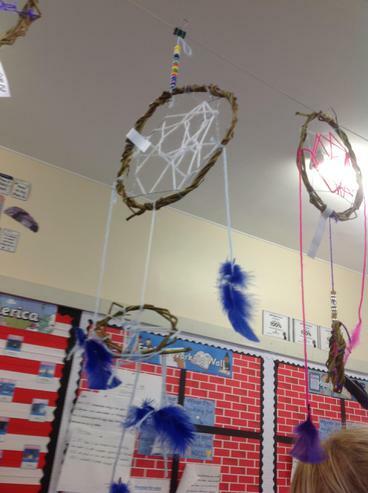 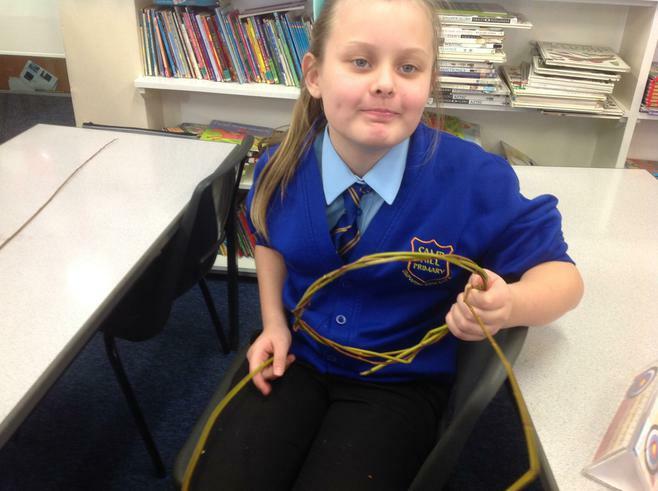 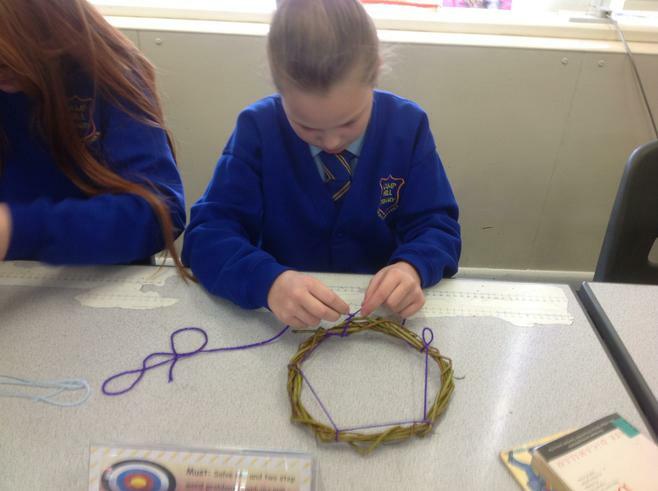 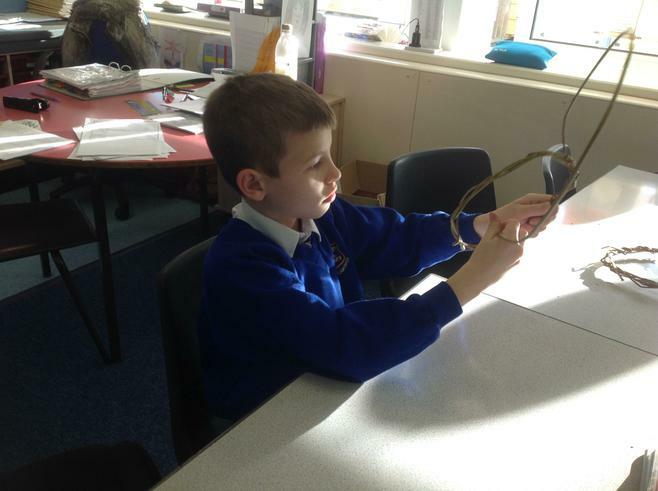 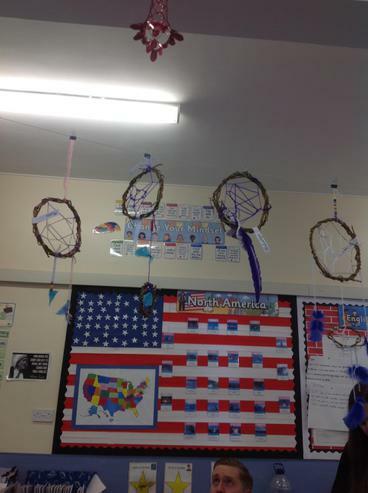 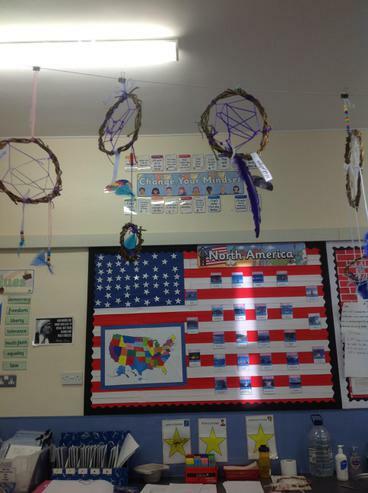 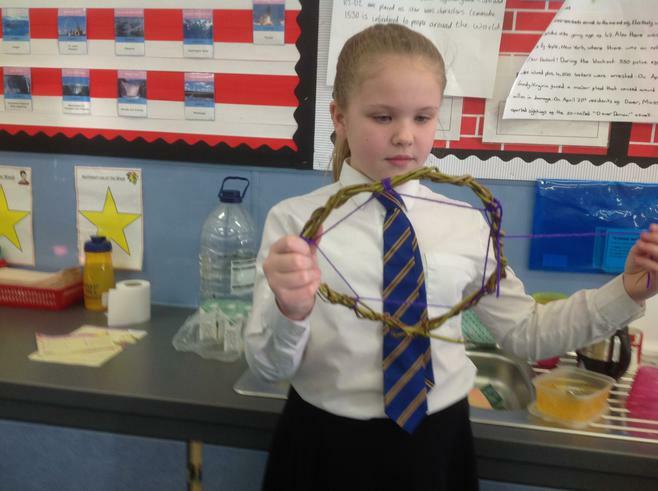 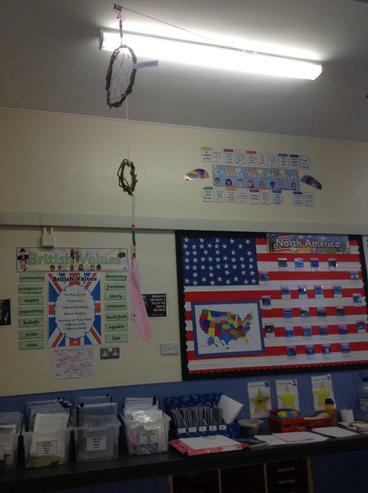 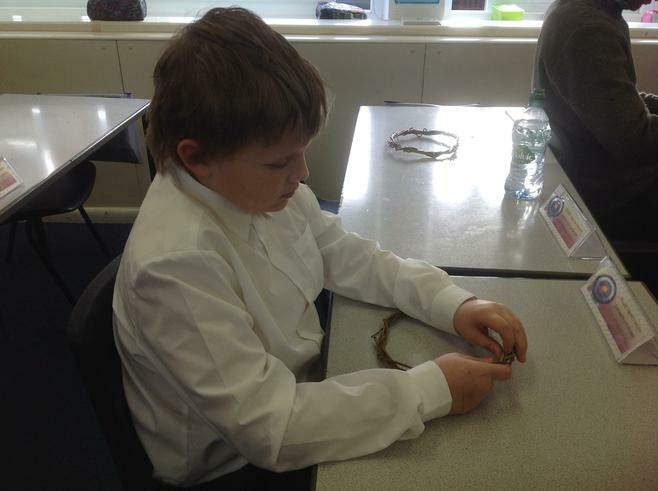 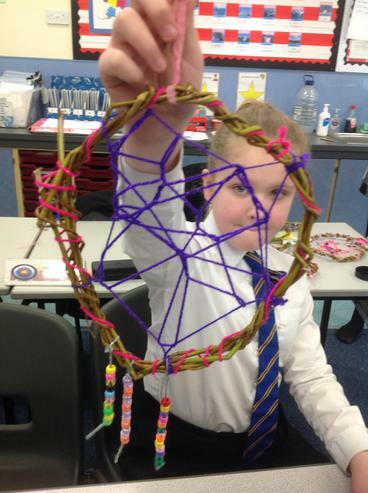 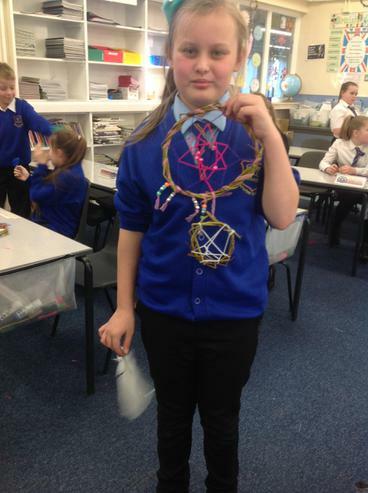 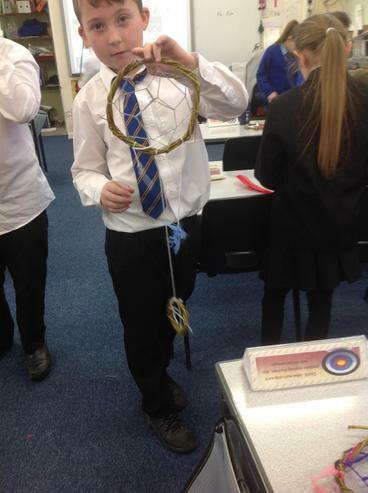 As part of their America topic, 5DP made dream catchers. 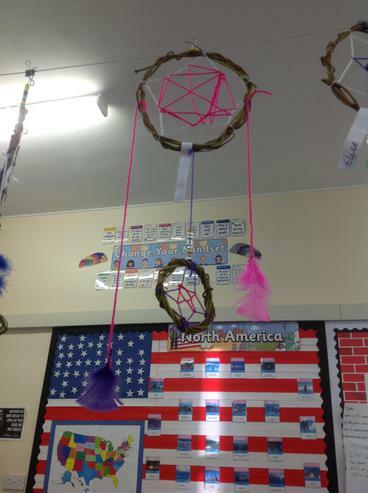 This Native American Indian tradition is supposed to ward off bad dreams by catching them in its web and letting only the good dreams pass through. 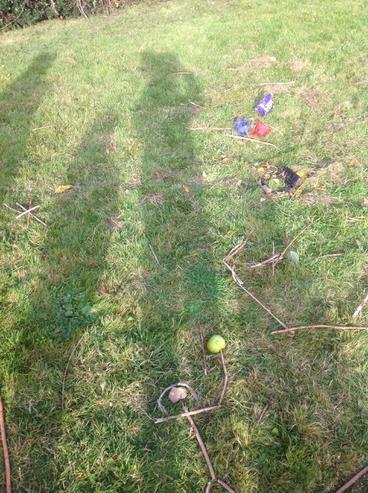 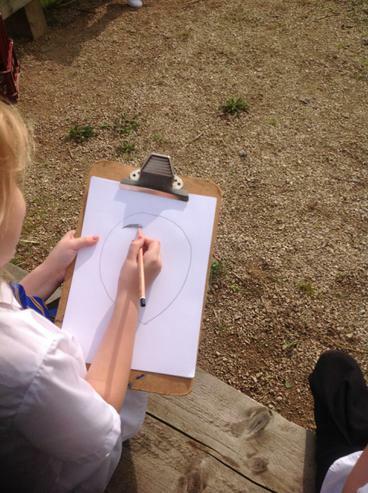 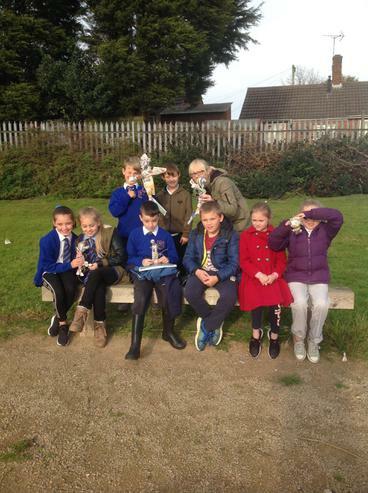 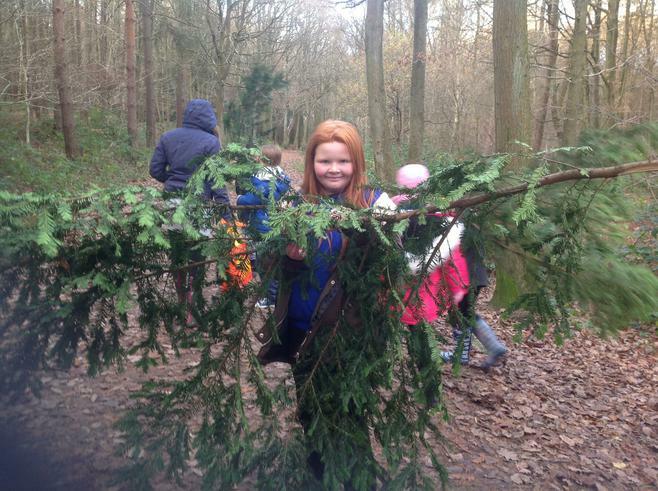 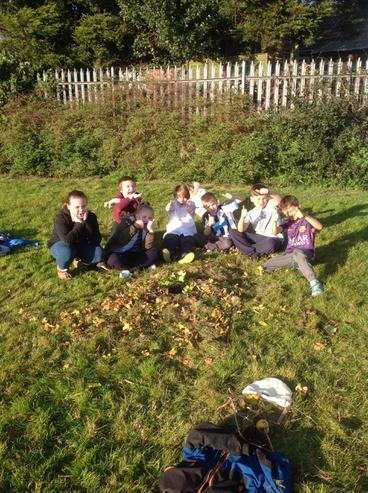 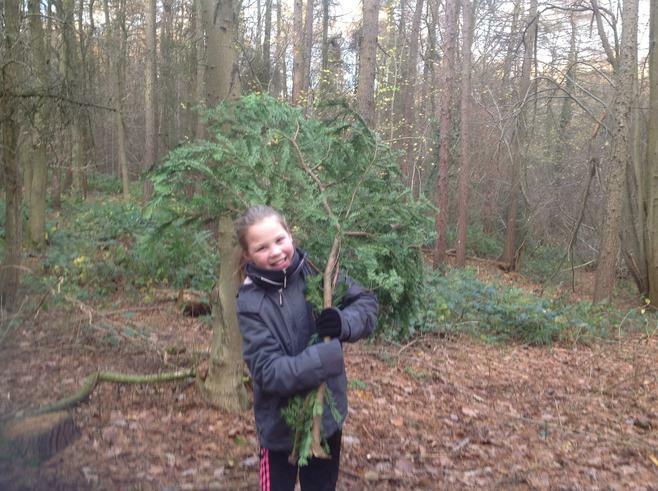 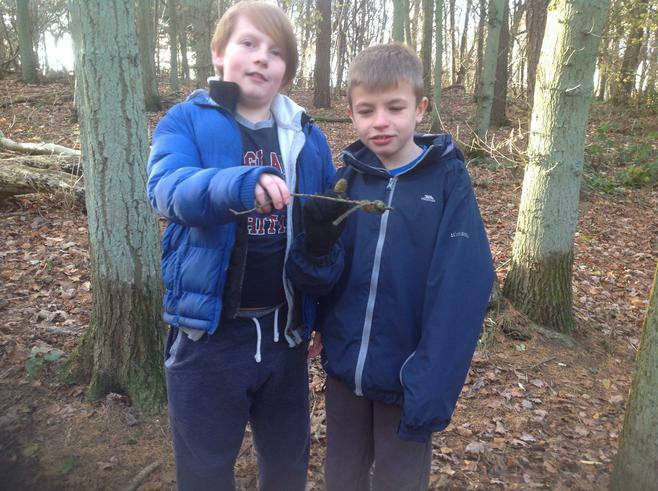 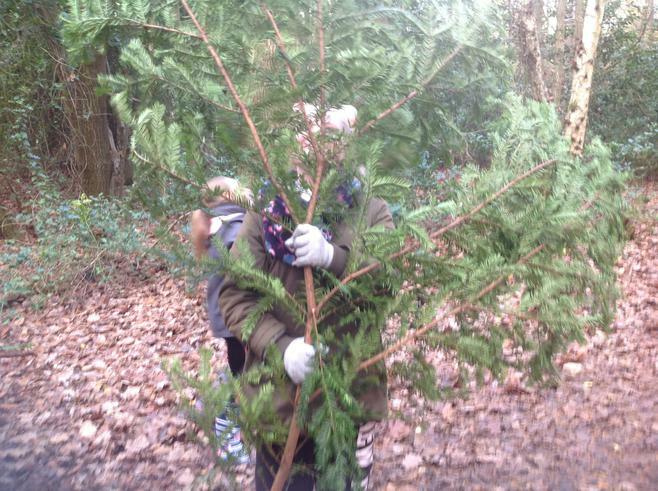 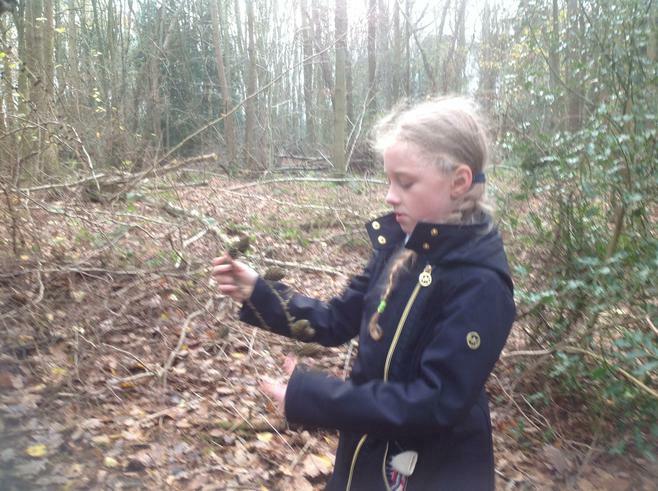 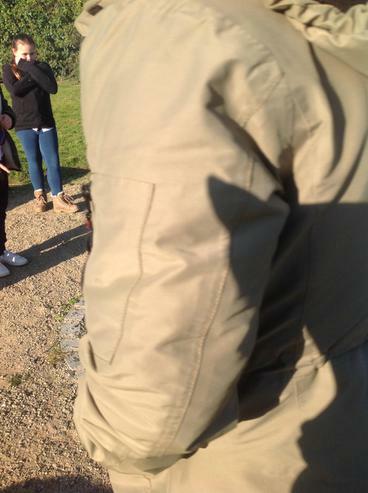 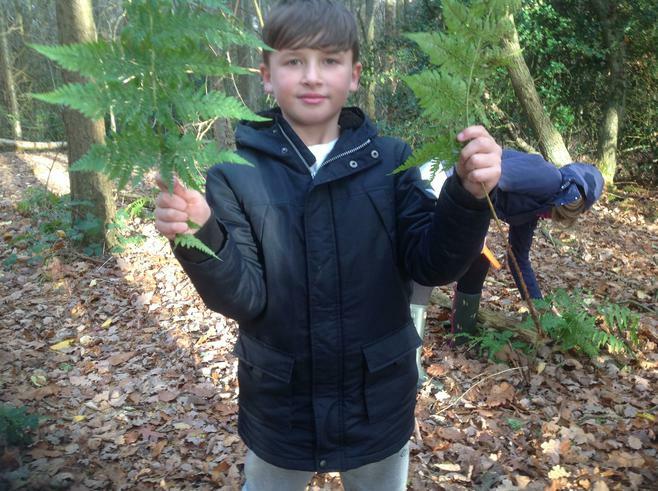 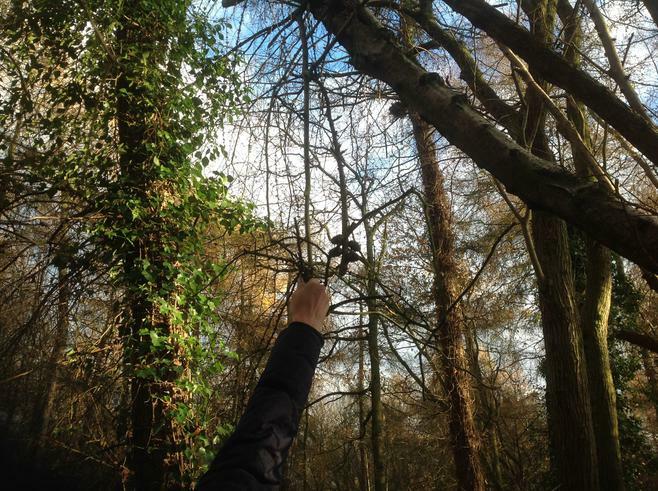 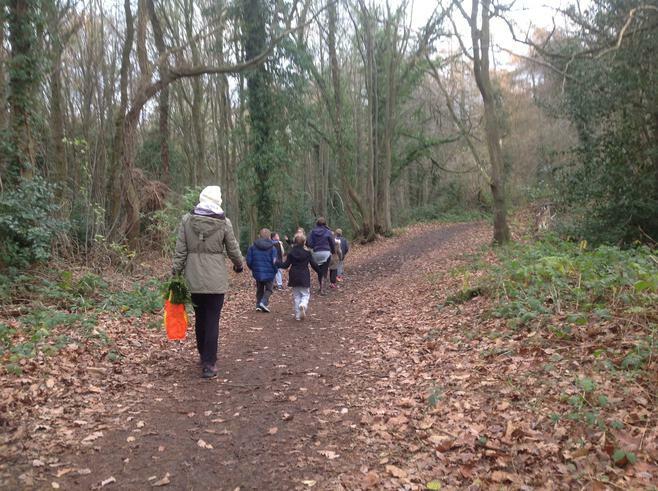 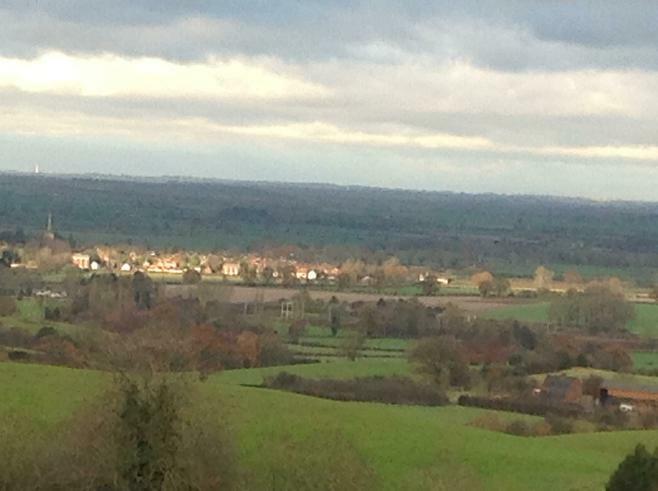 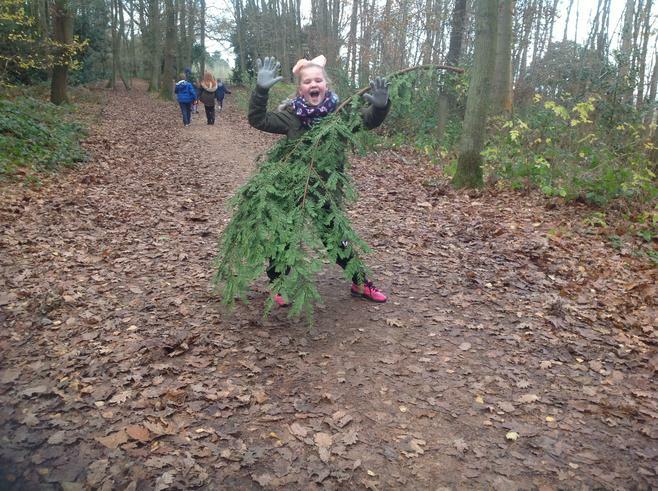 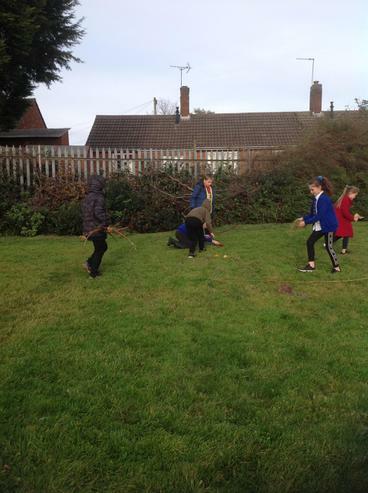 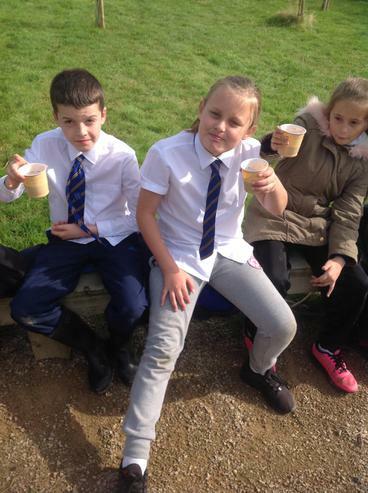 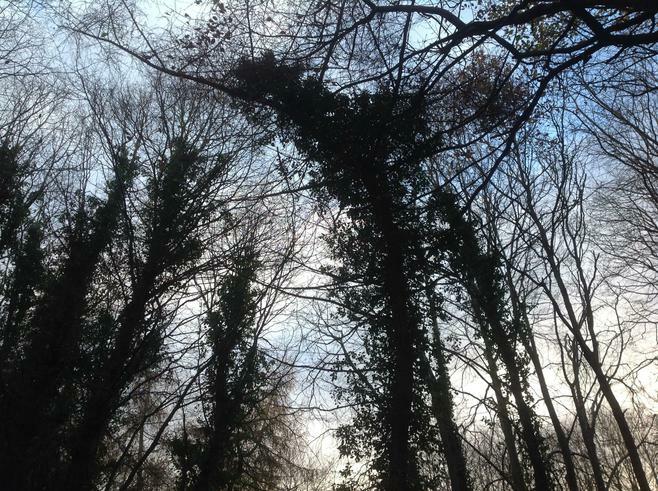 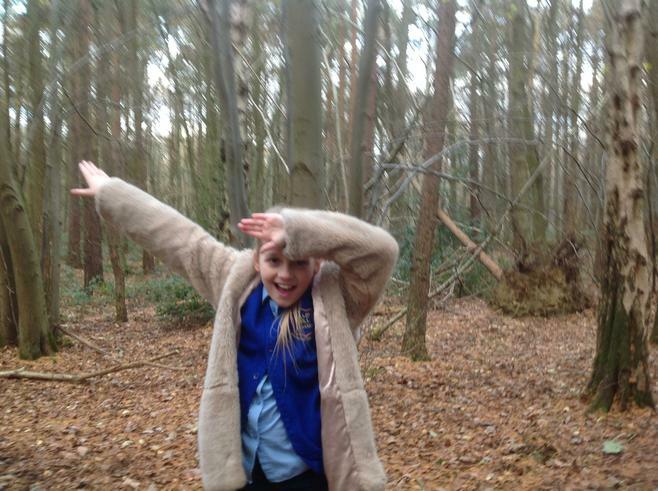 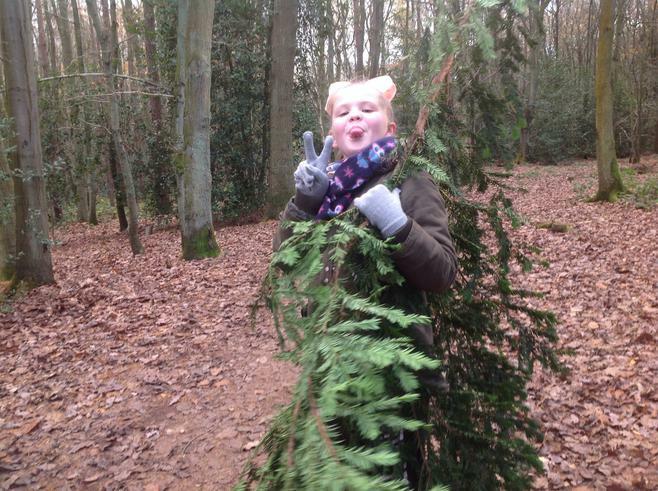 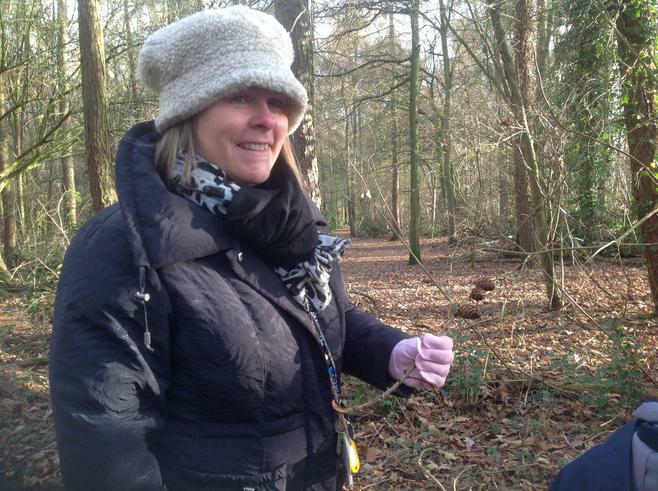 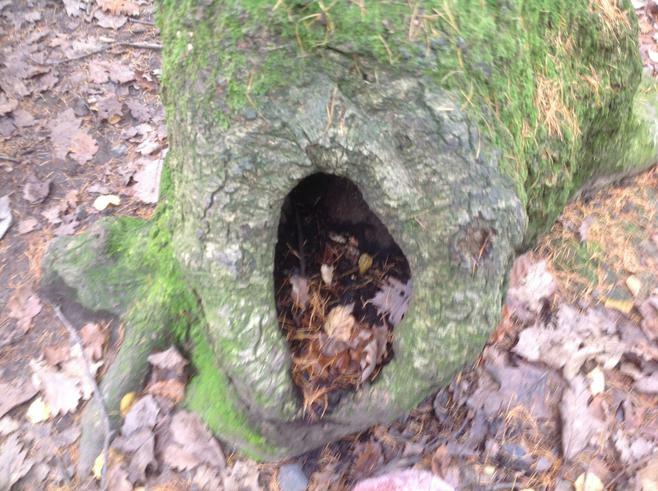 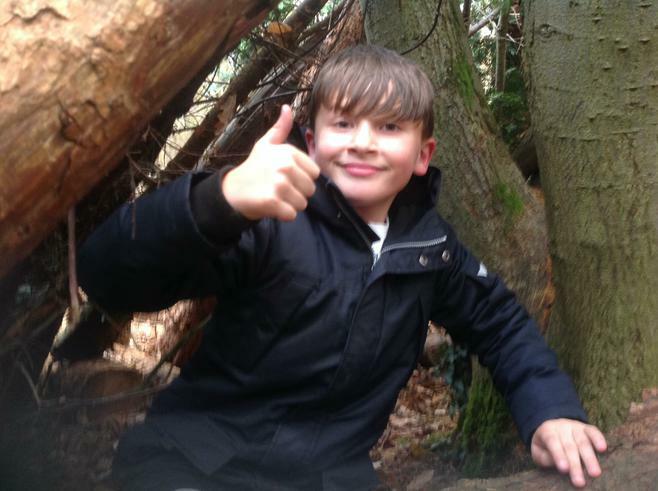 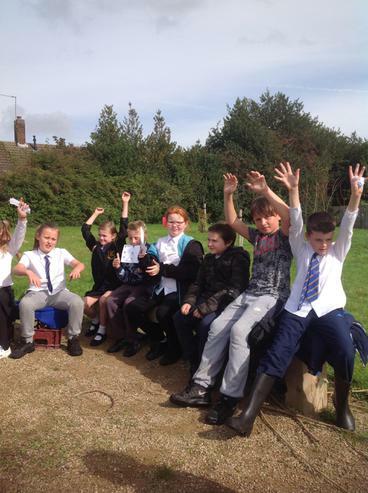 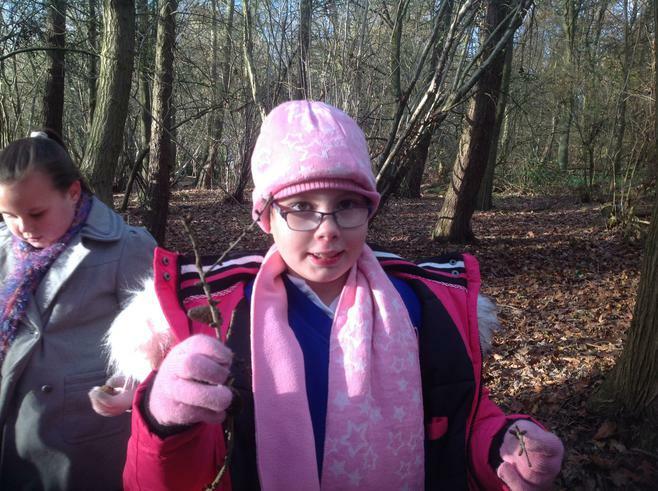 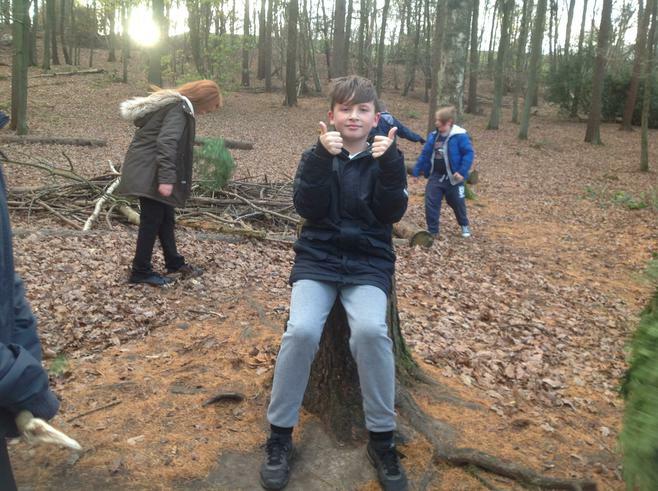 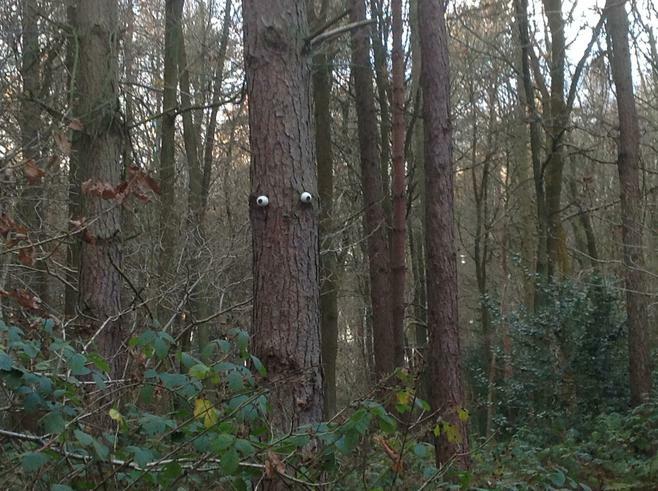 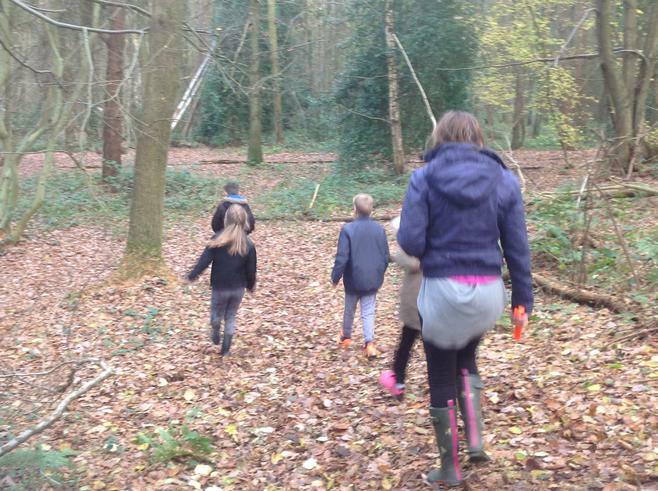 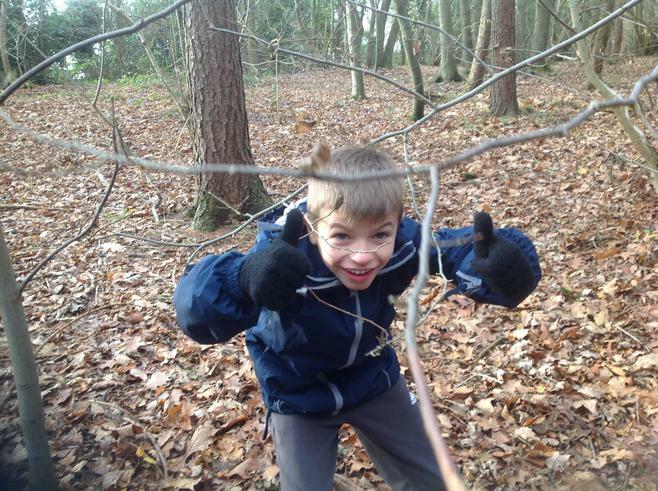 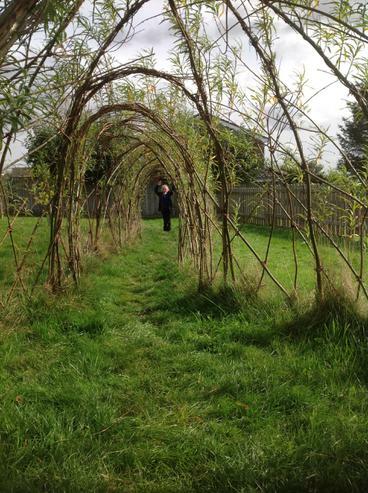 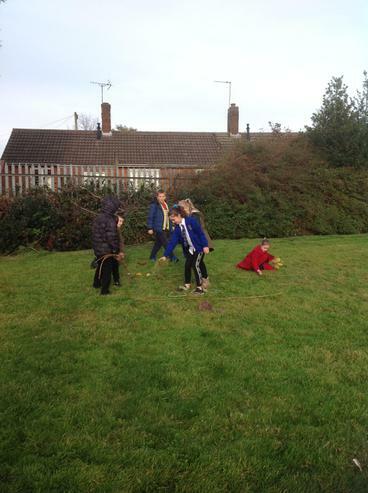 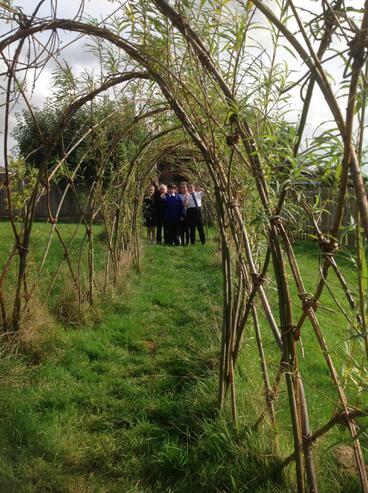 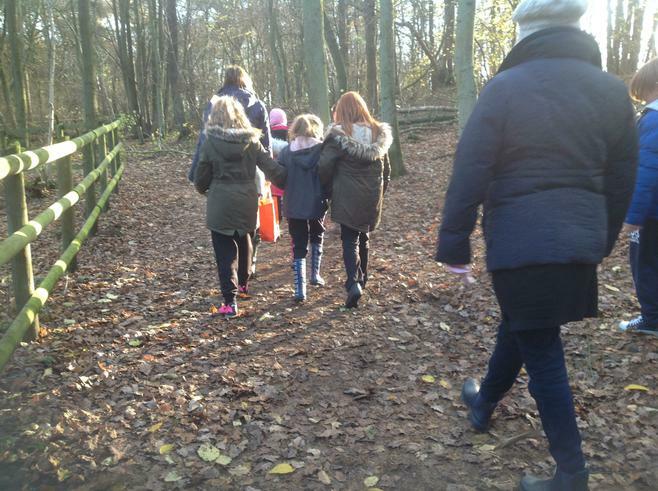 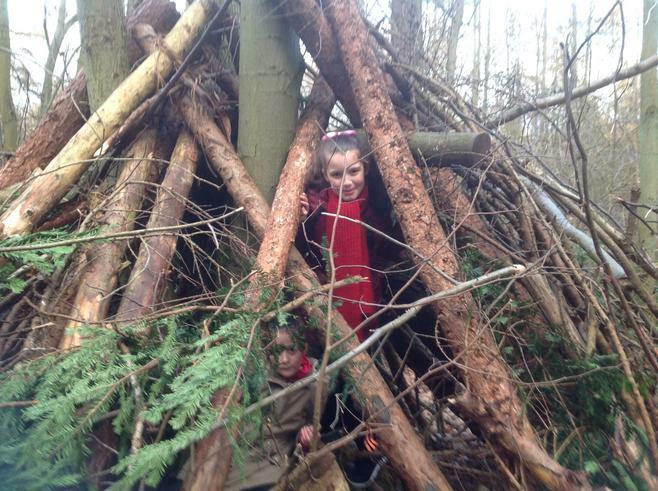 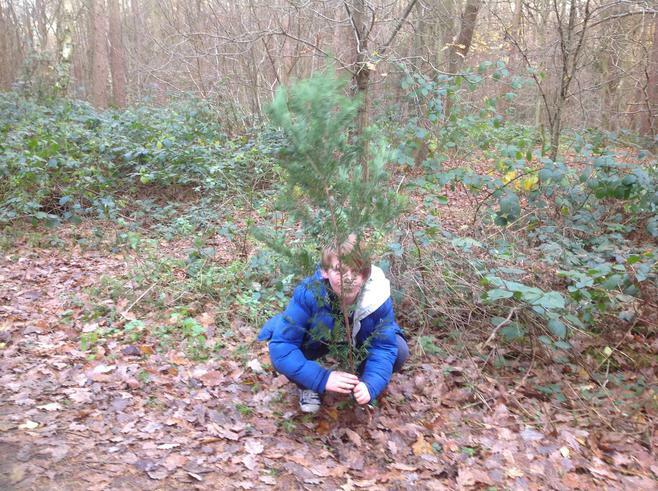 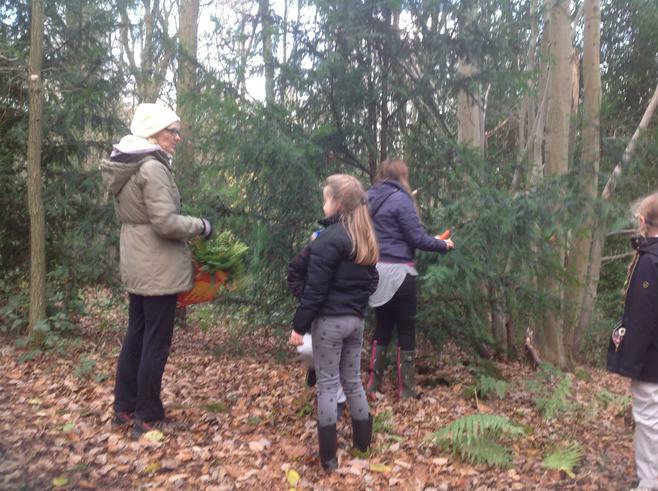 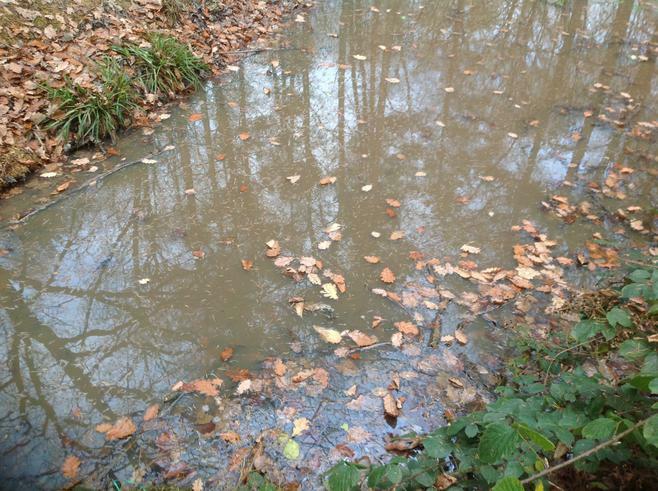 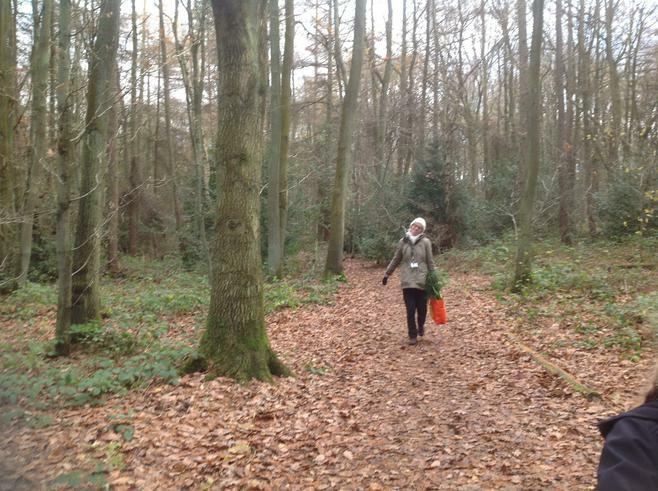 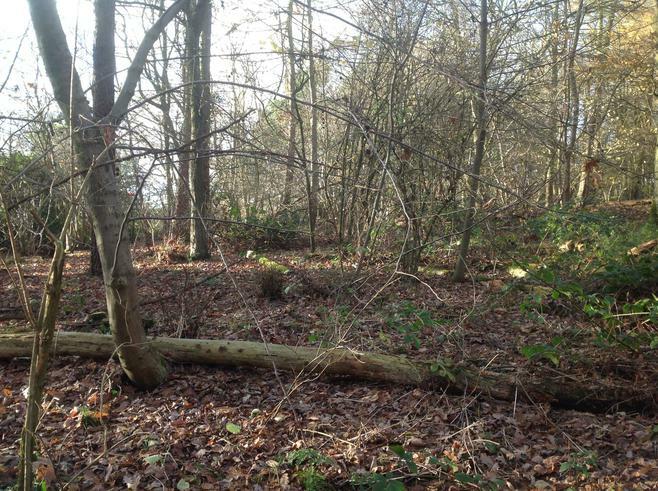 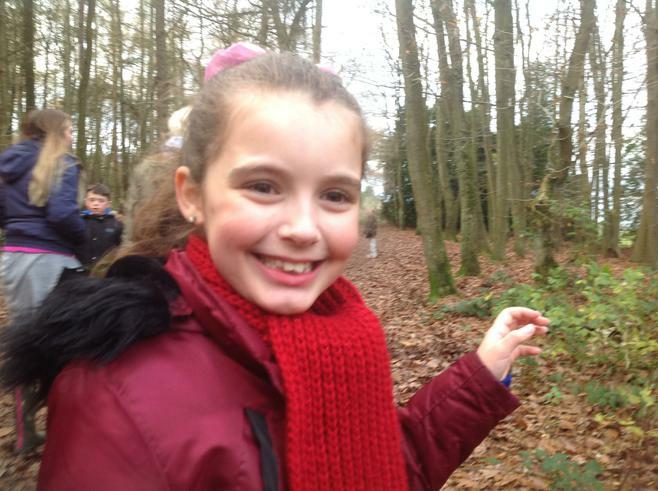 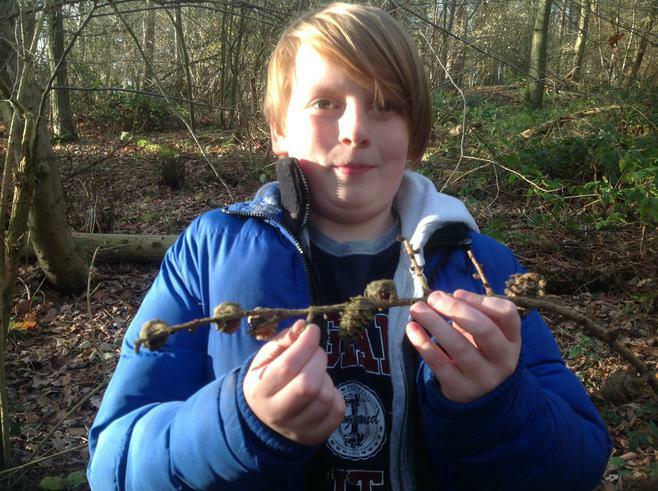 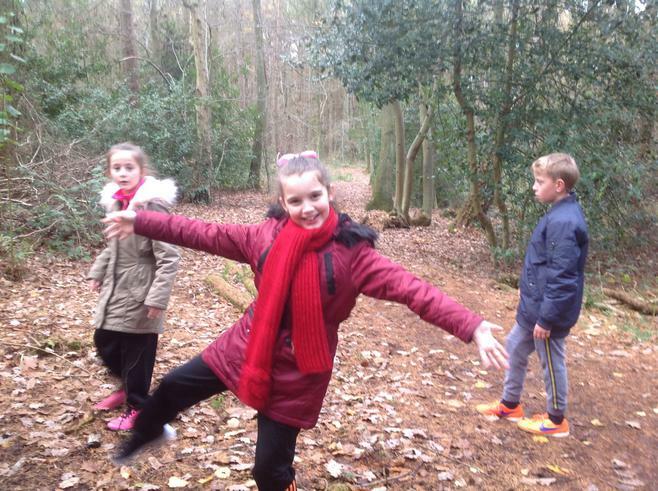 Before Christmas, the children in 5DP went to Hartshill Hayes to collect materials to make Christmas wreaths. 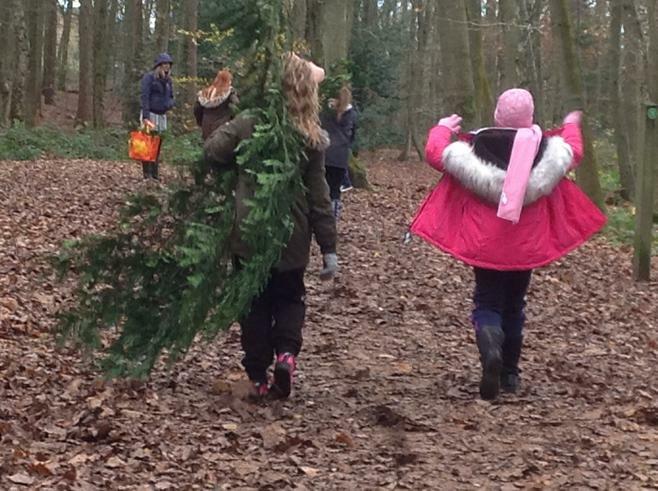 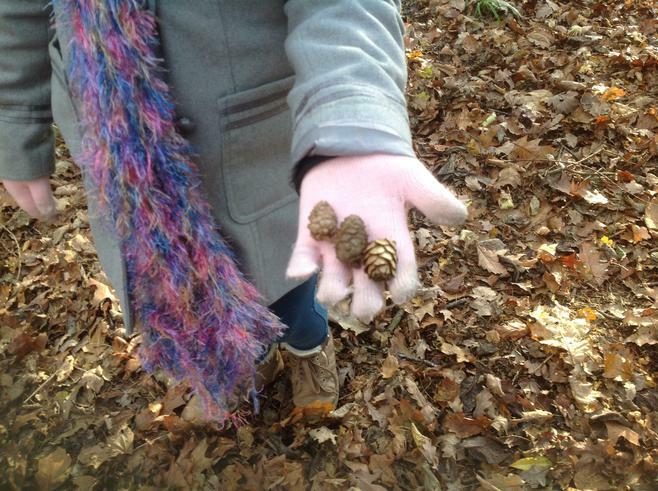 They collected leaves, branches, pine cones and holly. 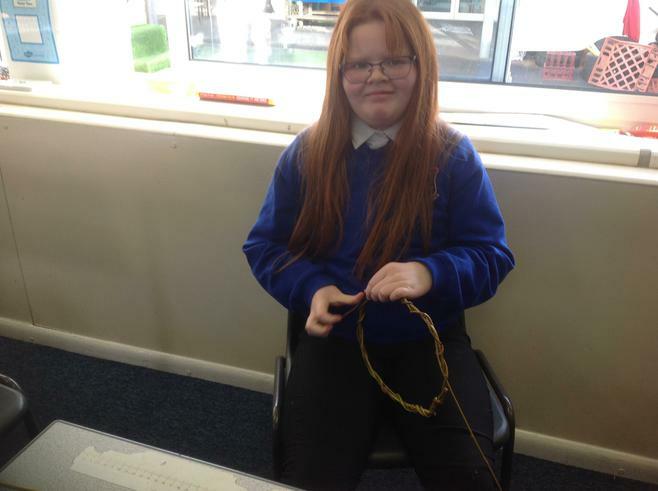 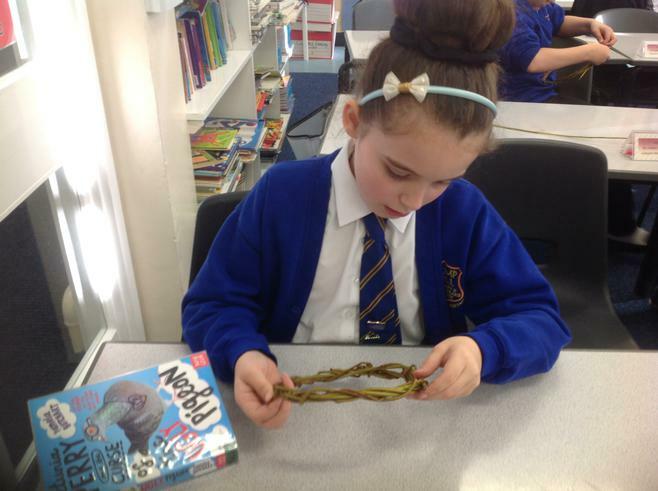 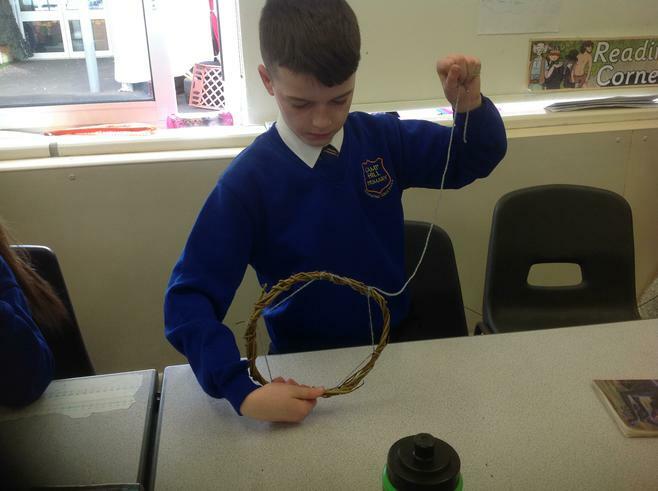 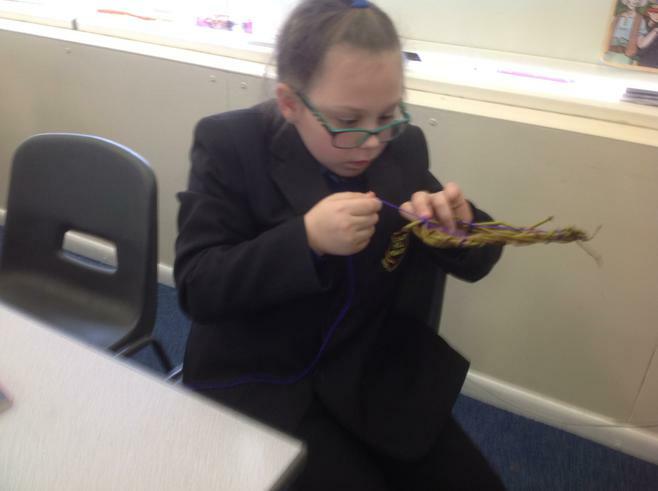 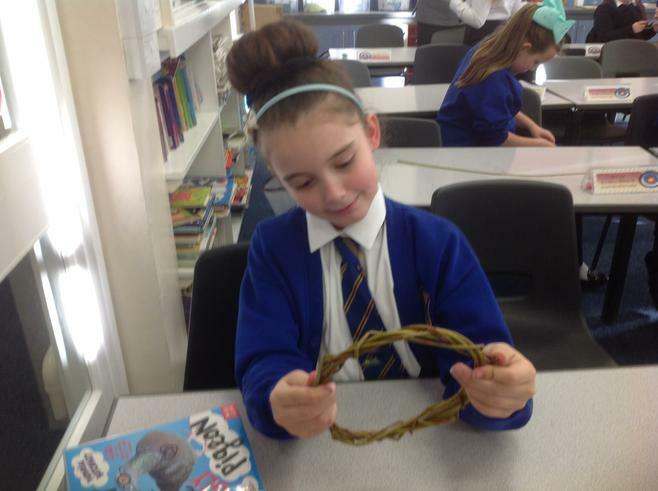 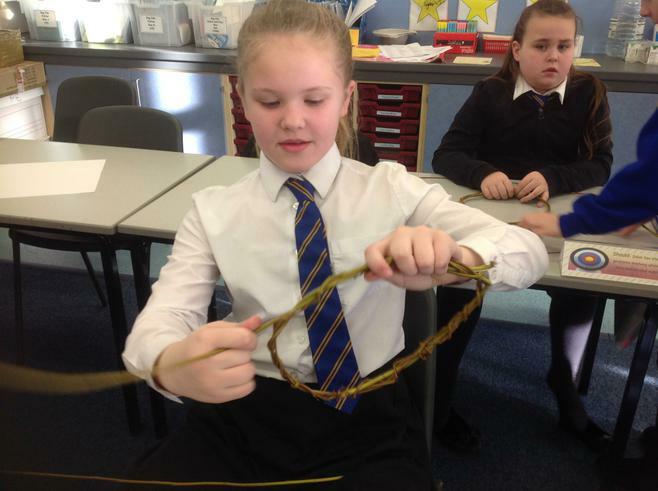 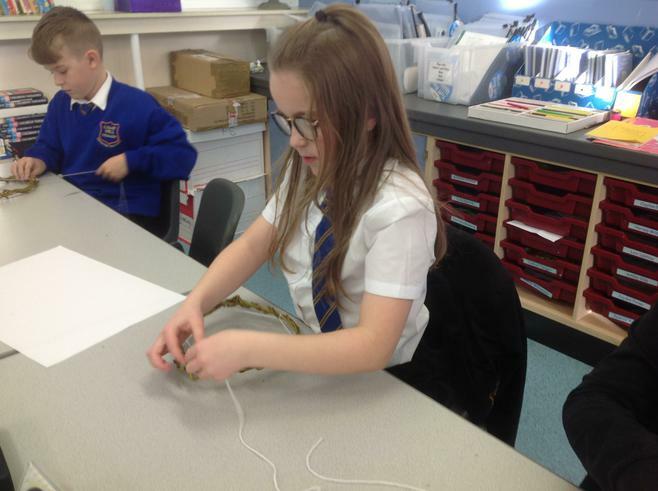 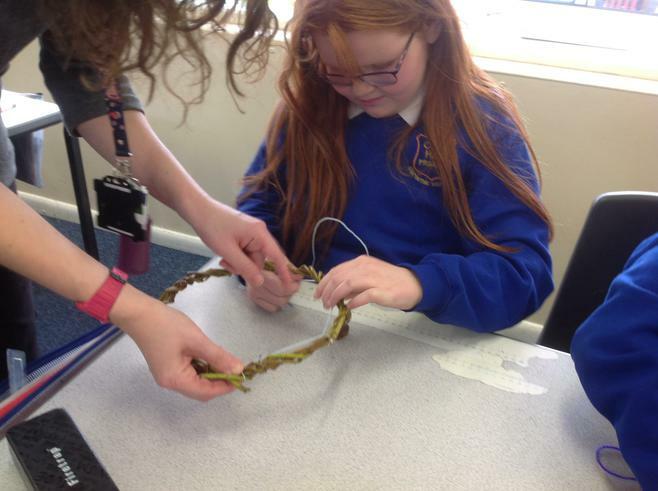 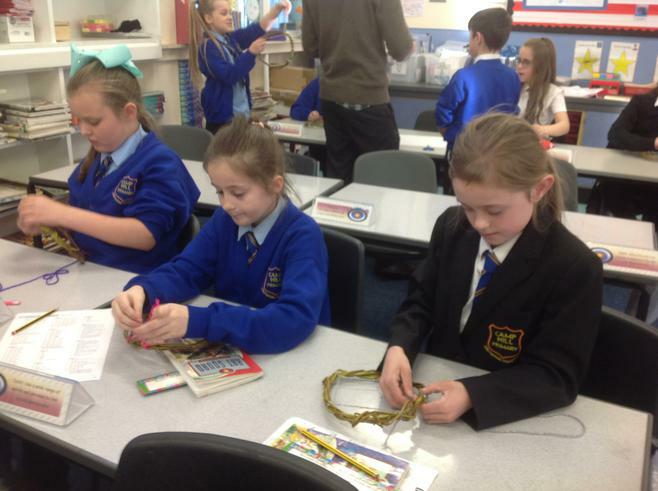 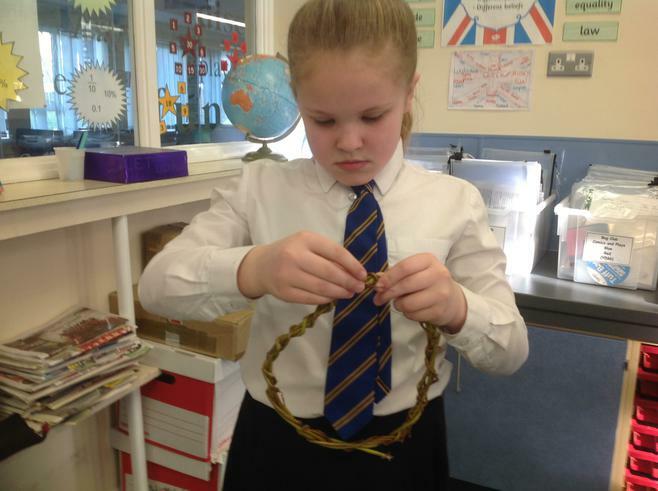 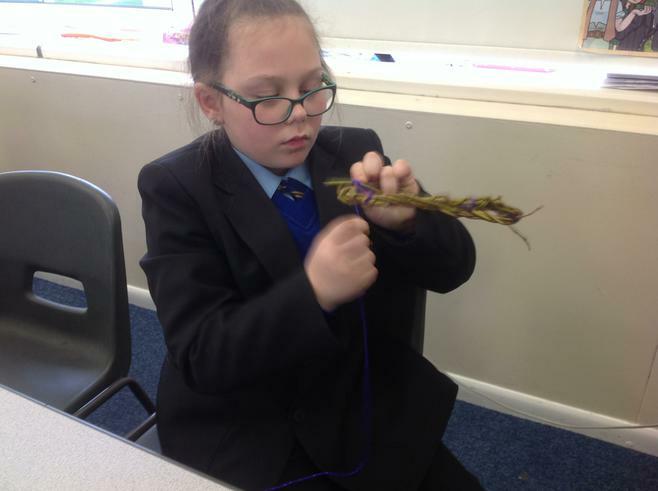 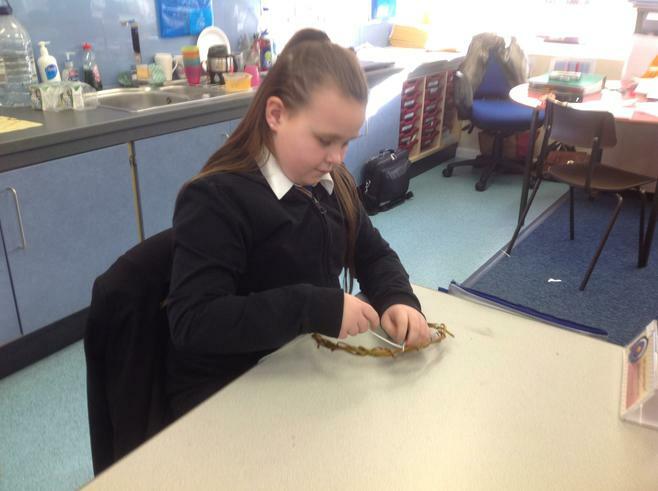 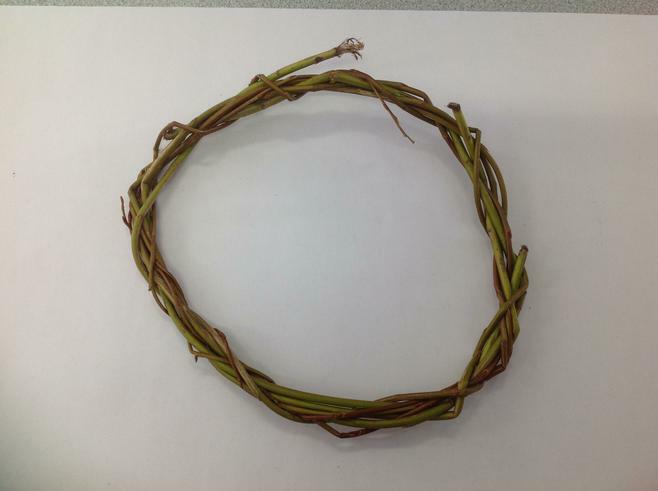 Back at school, they used sphagnum moss and wire to create the base for their wreaths, then decorated them using the materials they had found as well as ribbon and baubles. 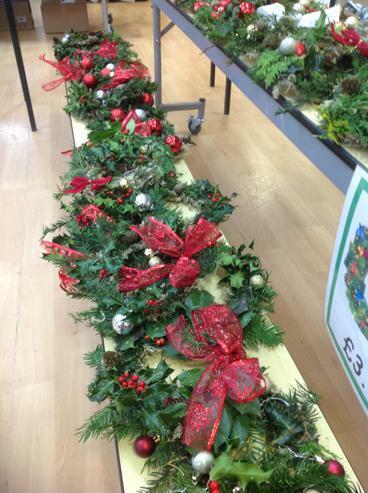 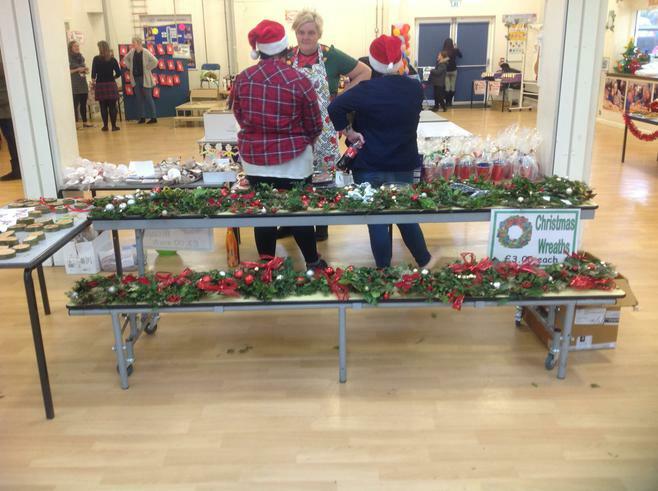 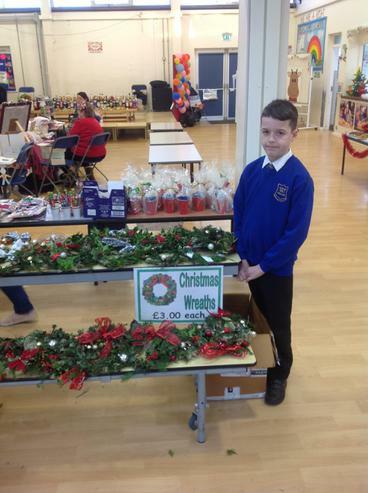 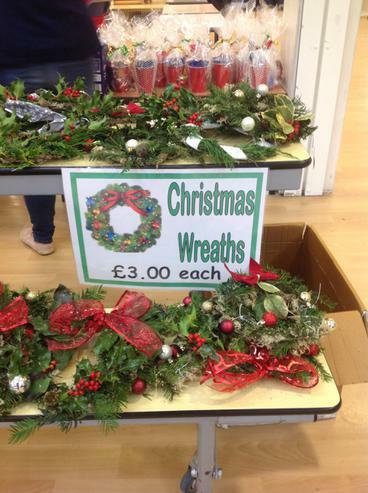 The children then sold their wreaths at the Christmas fair. 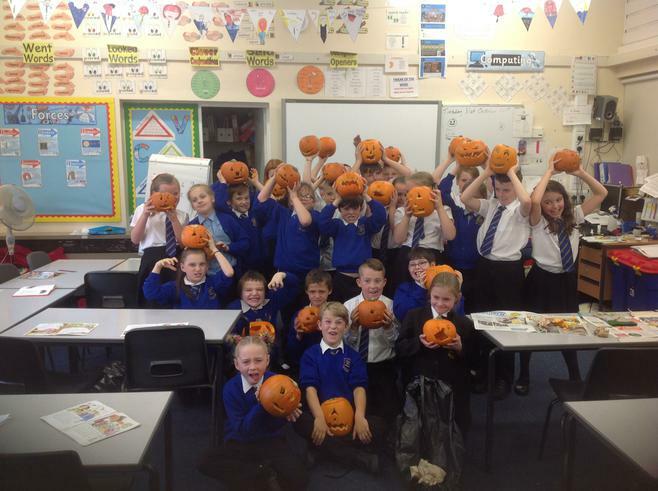 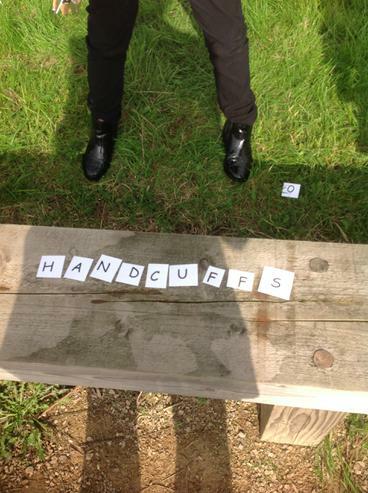 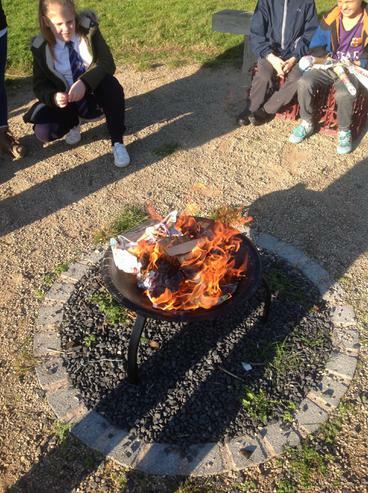 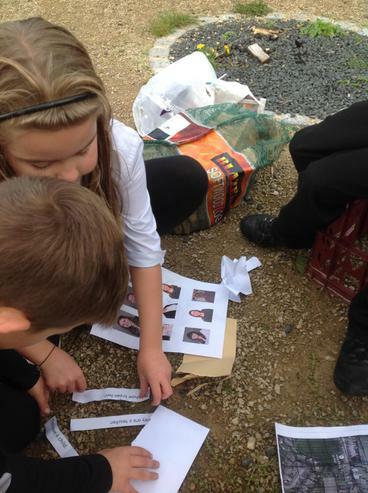 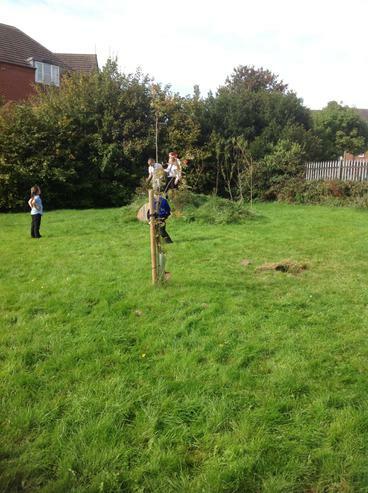 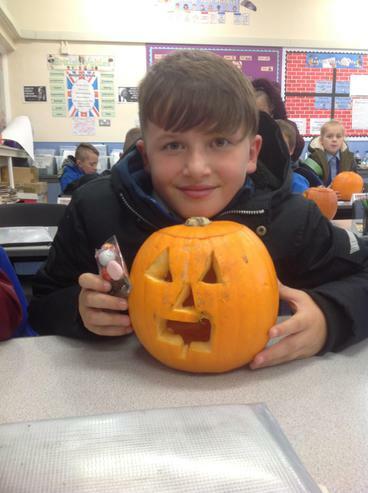 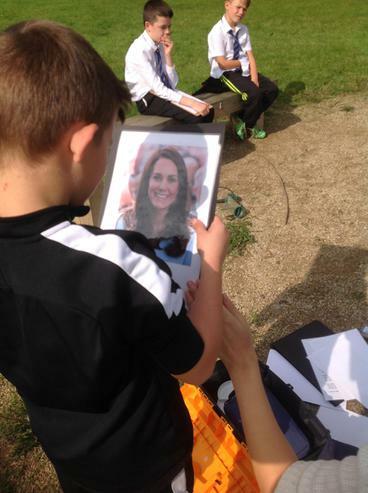 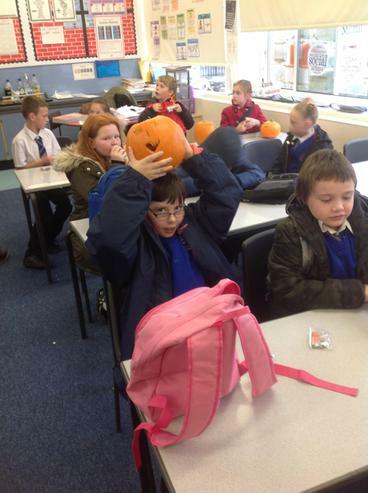 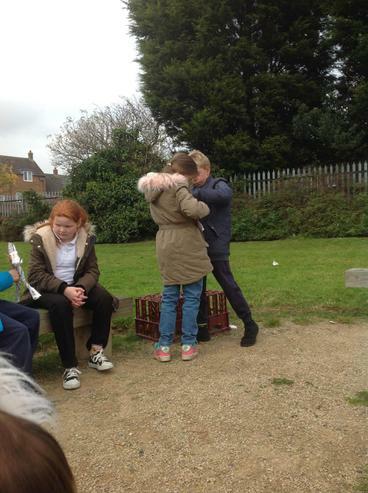 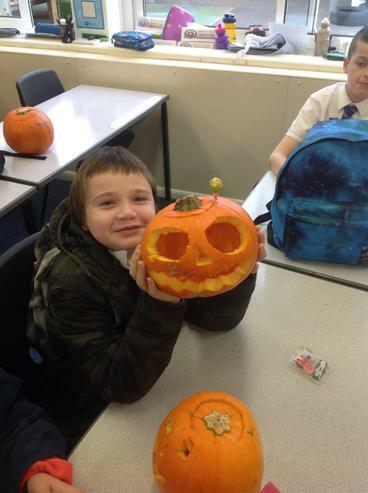 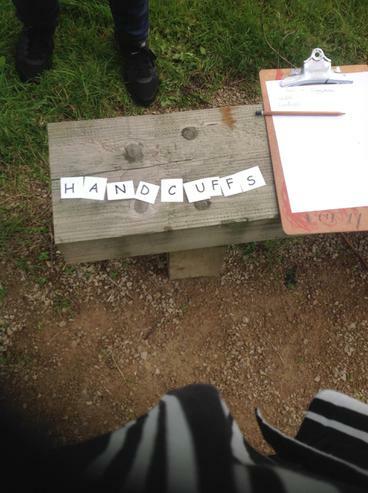 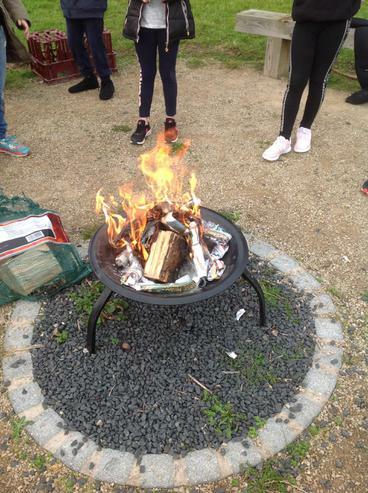 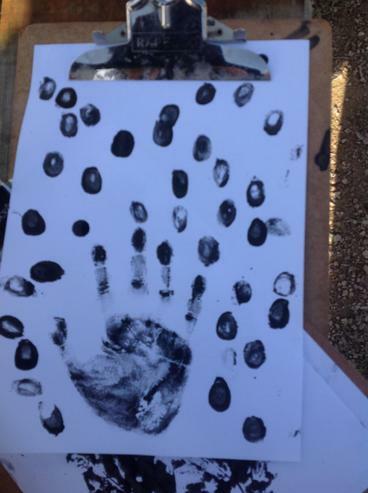 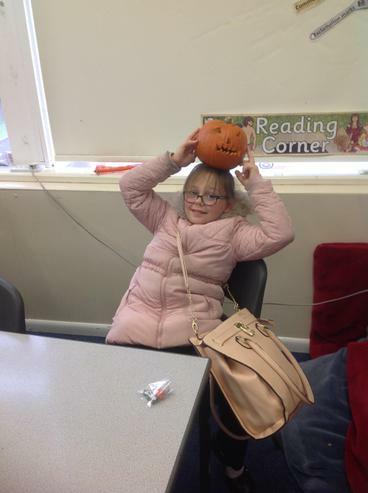 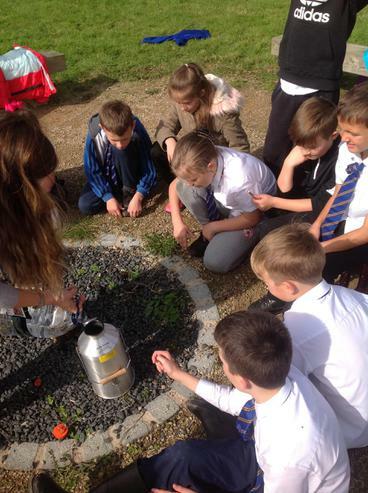 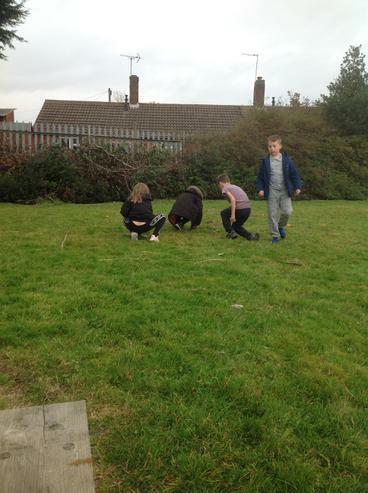 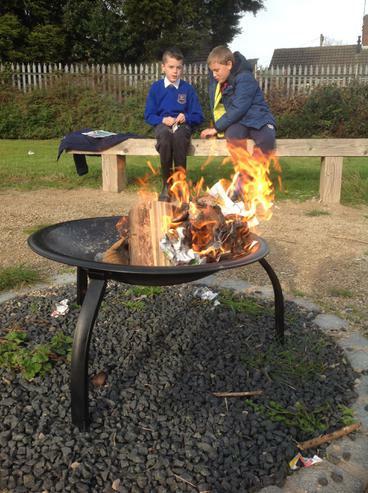 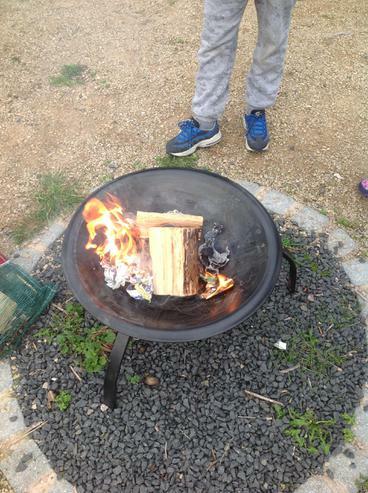 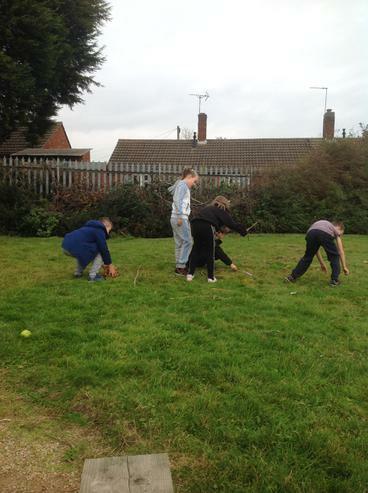 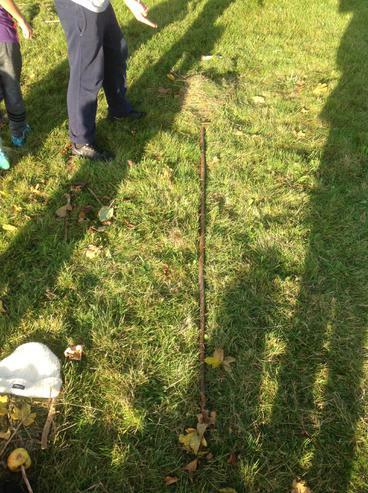 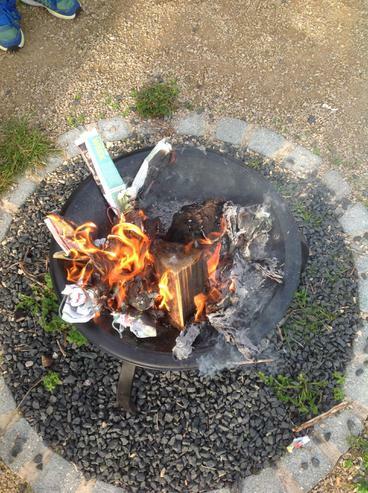 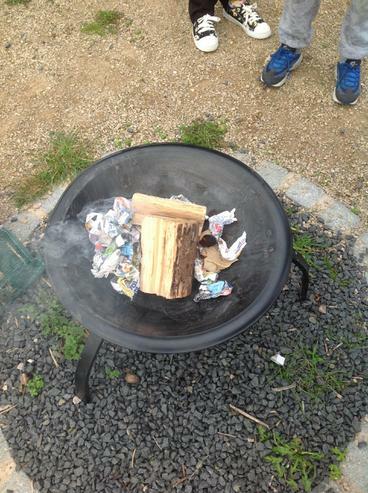 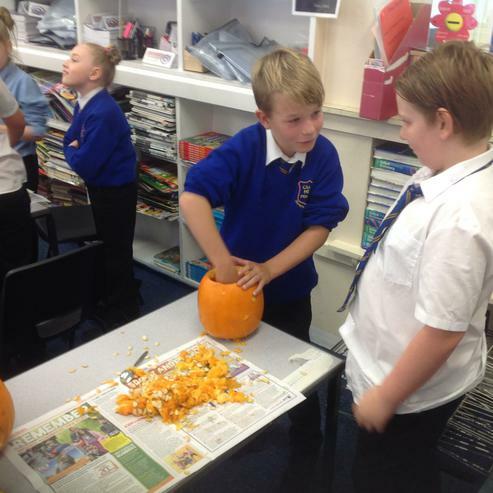 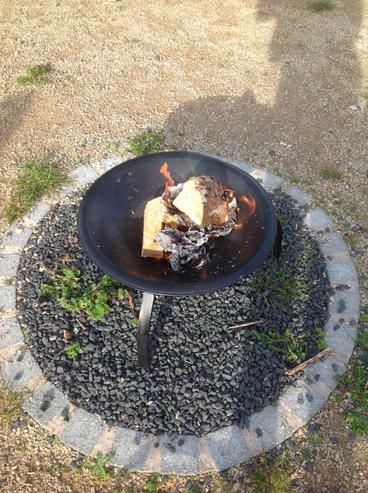 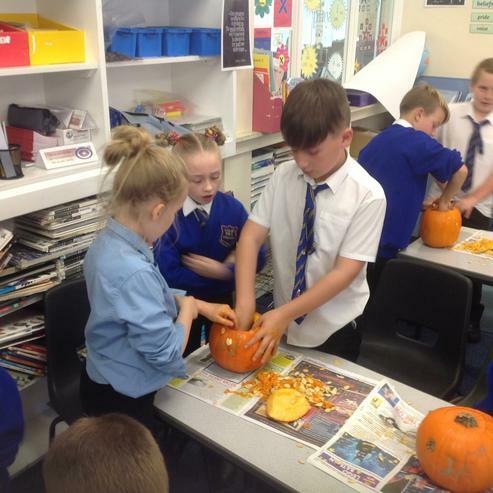 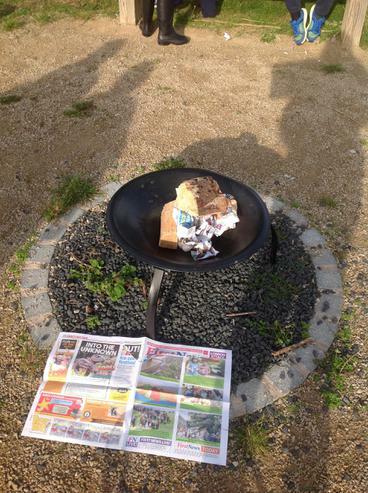 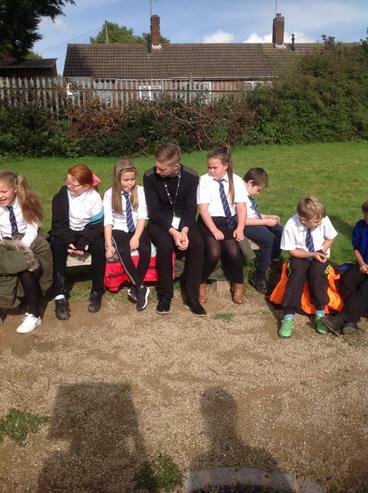 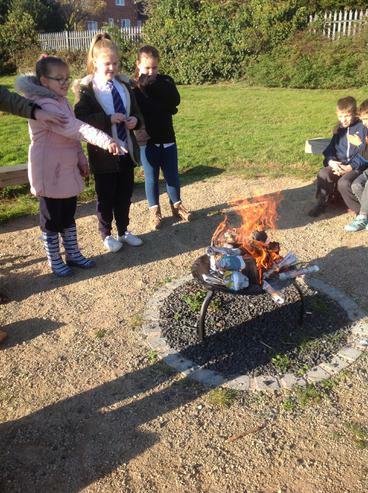 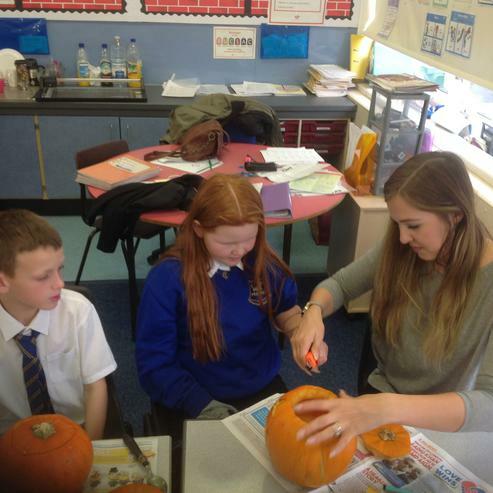 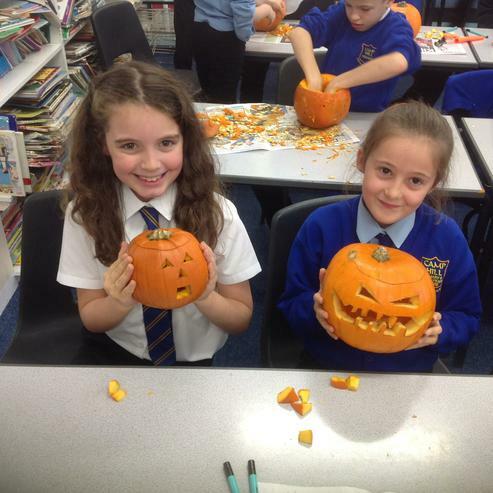 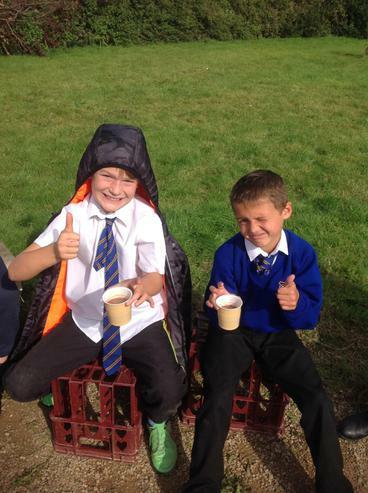 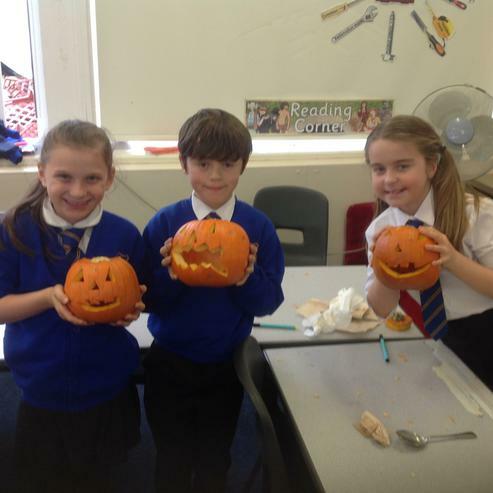 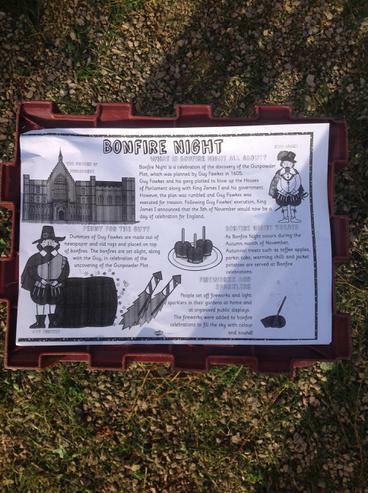 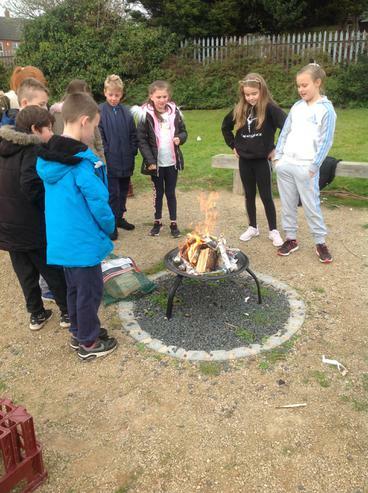 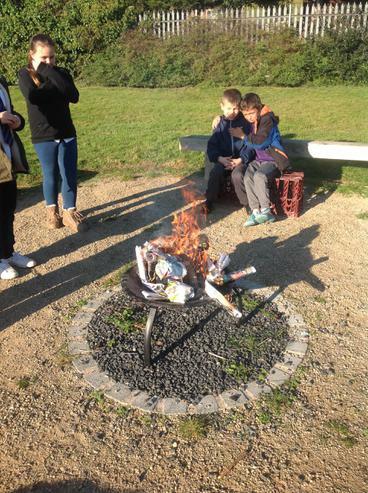 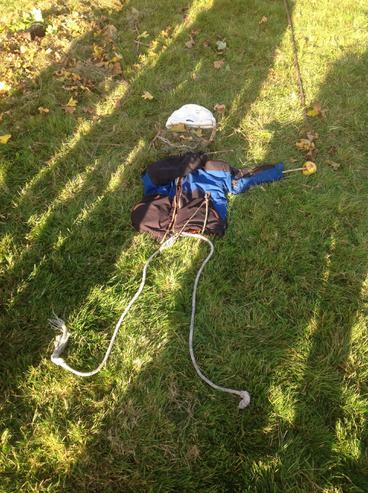 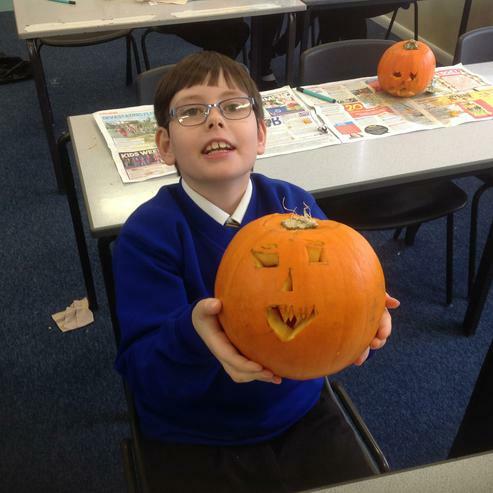 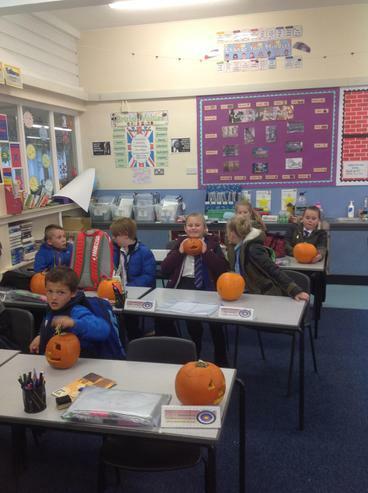 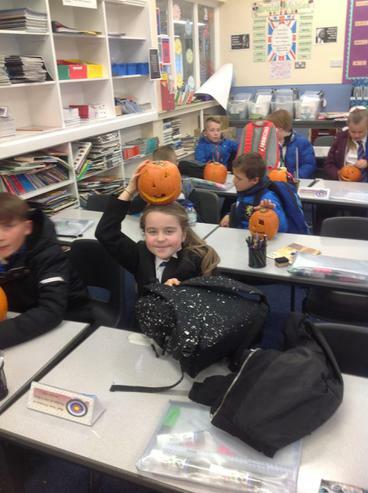 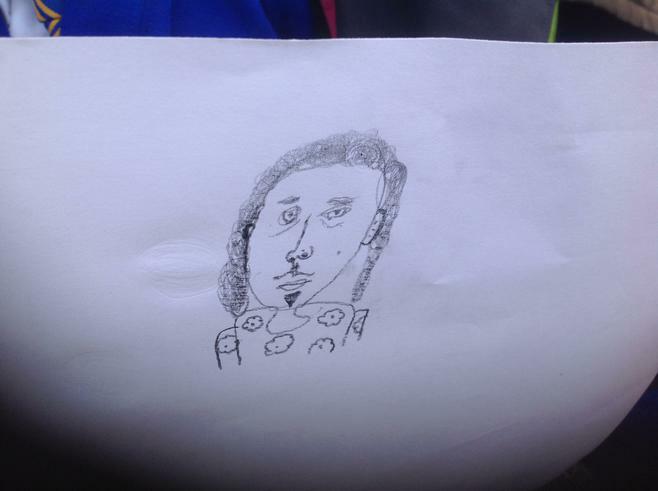 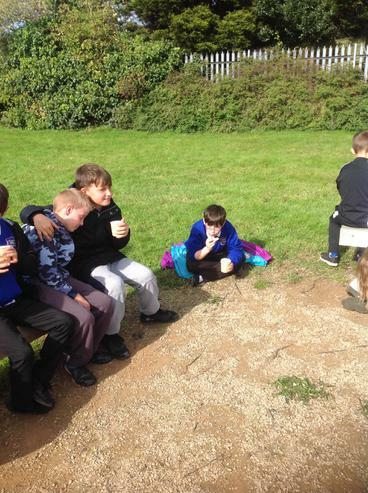 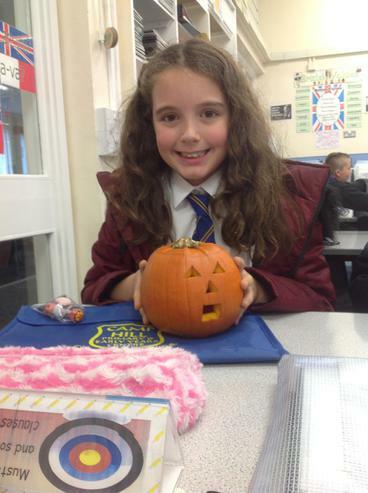 For the rest of the week, the children learnt about Bonfire Night to finish off their Crime and Punishment topic. 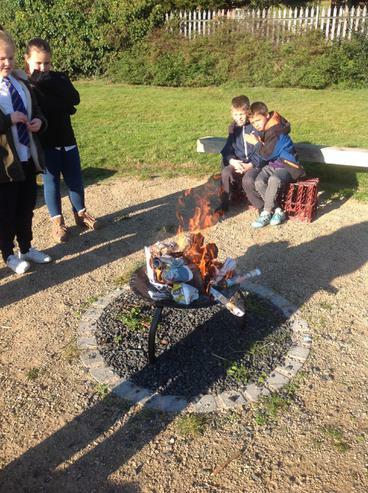 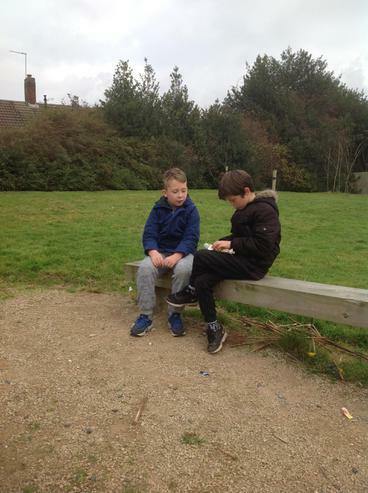 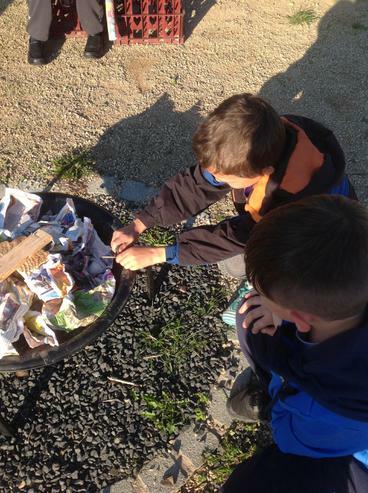 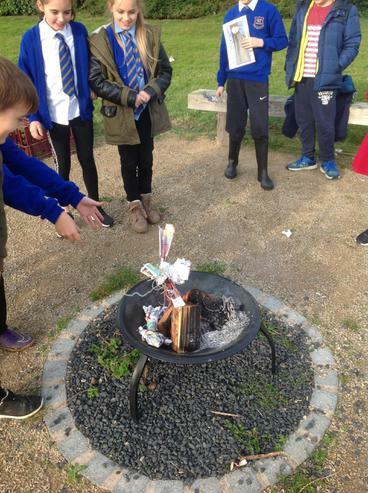 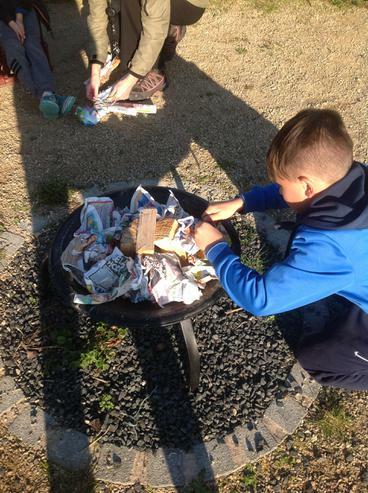 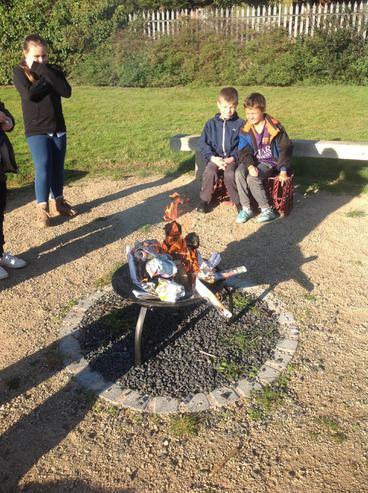 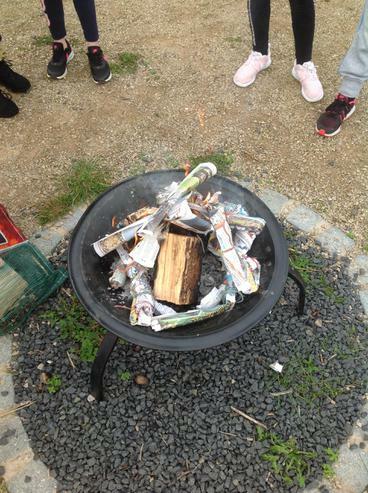 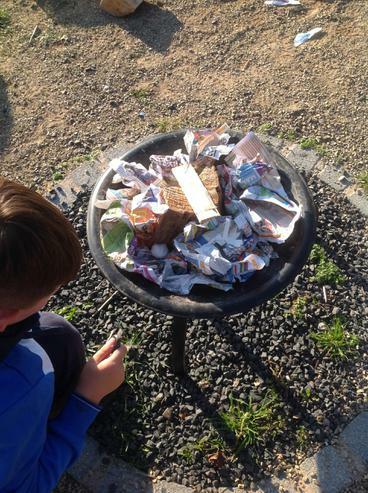 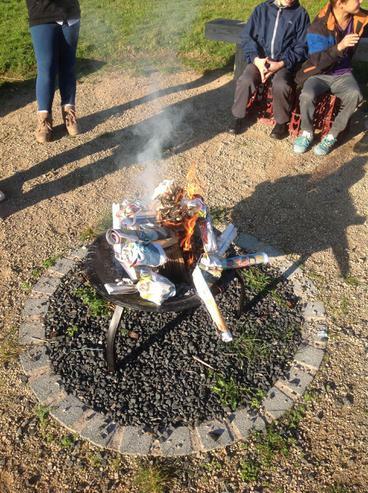 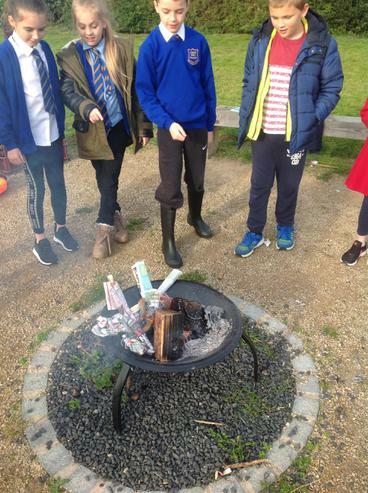 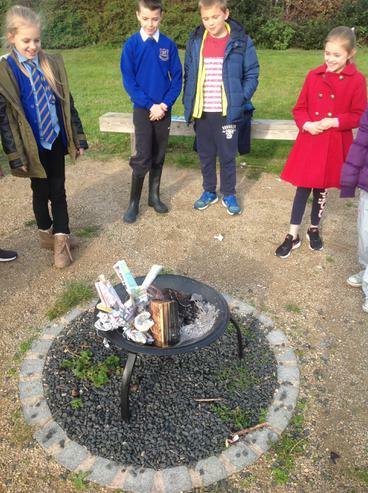 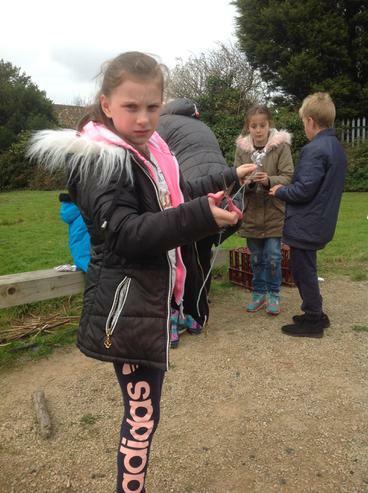 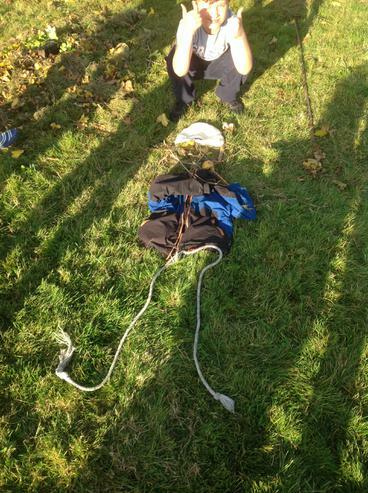 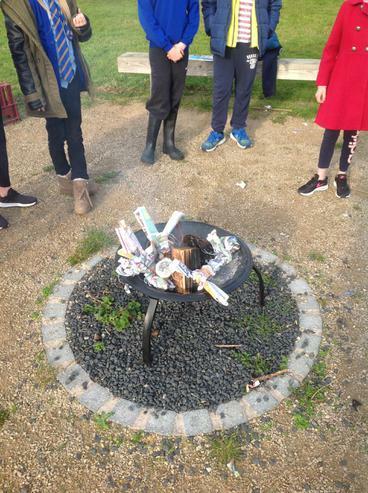 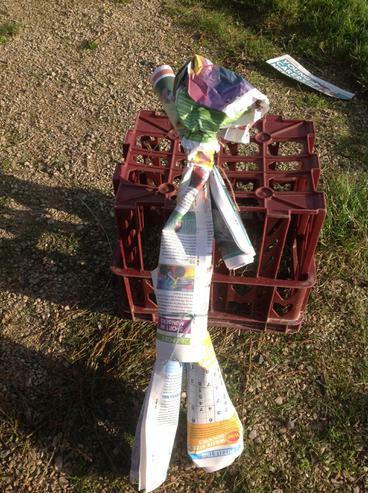 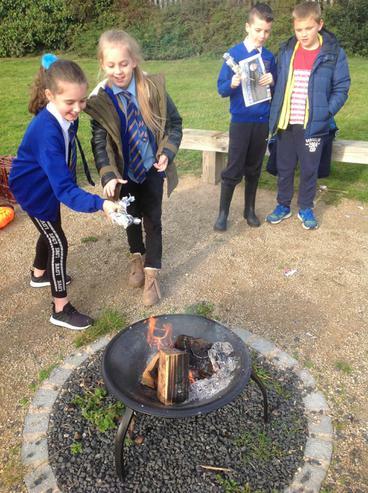 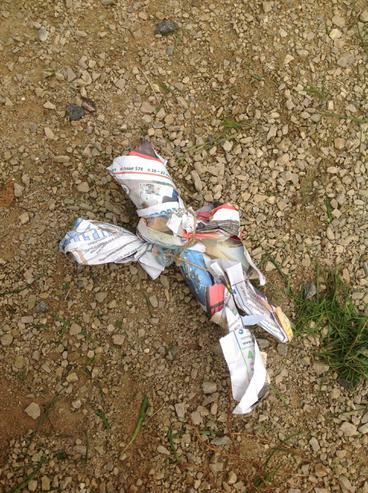 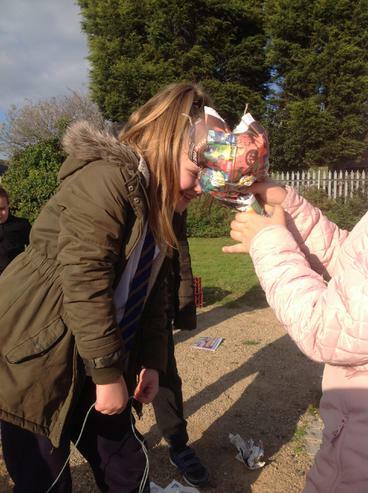 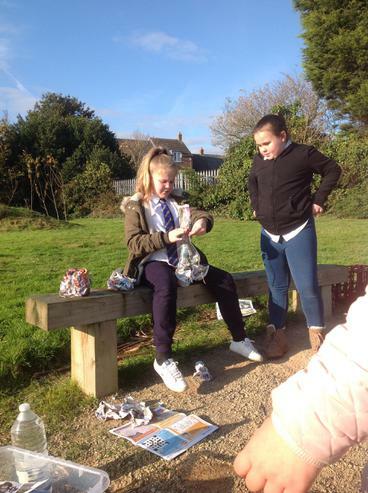 They learnt about Guy Fawkes and the Gunpowder Plot and then made their own 'Guys' out of newspaper and string before burning them on our own mini bonfire! 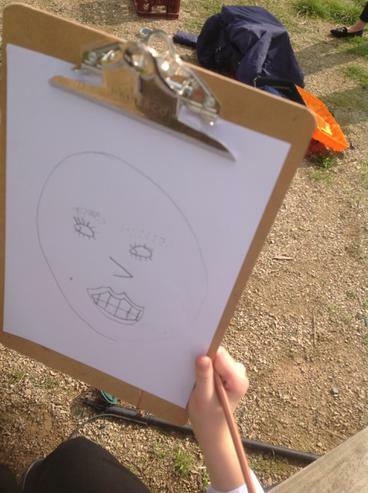 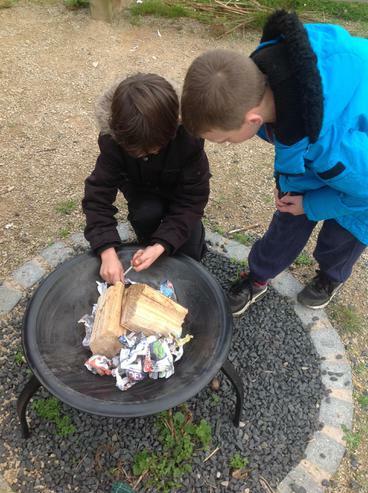 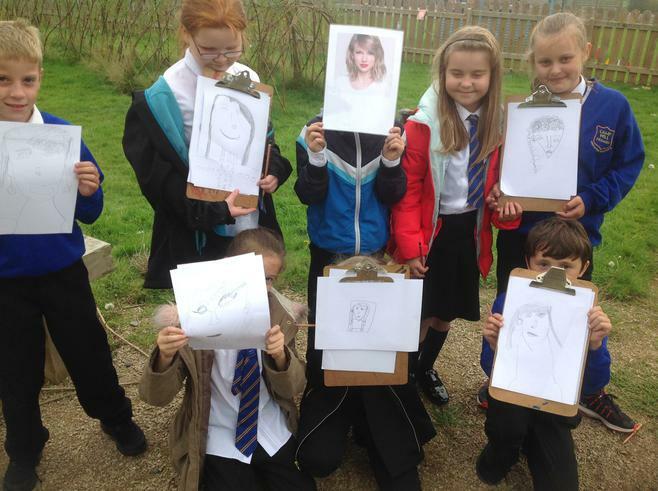 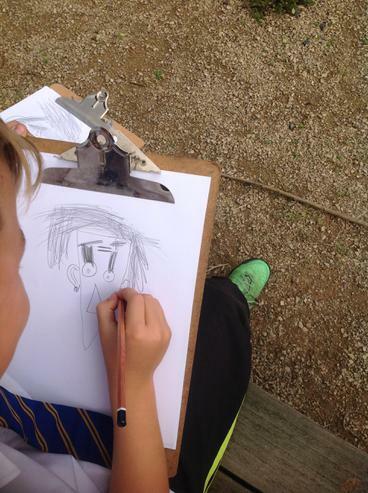 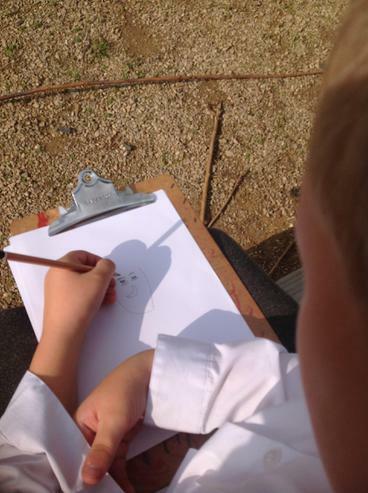 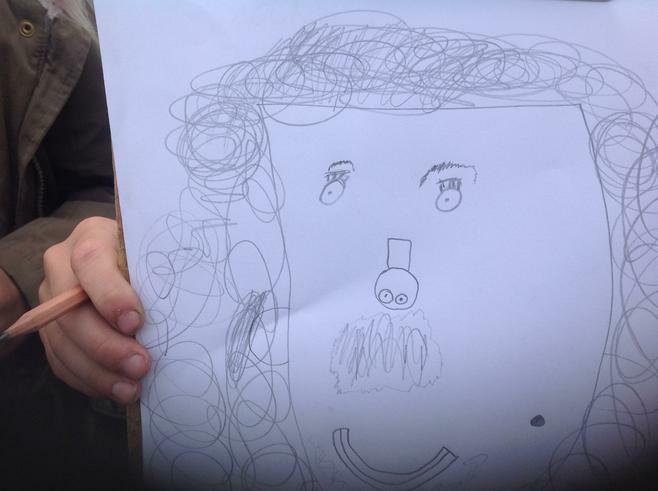 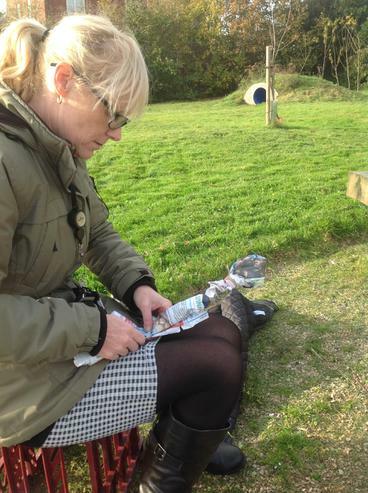 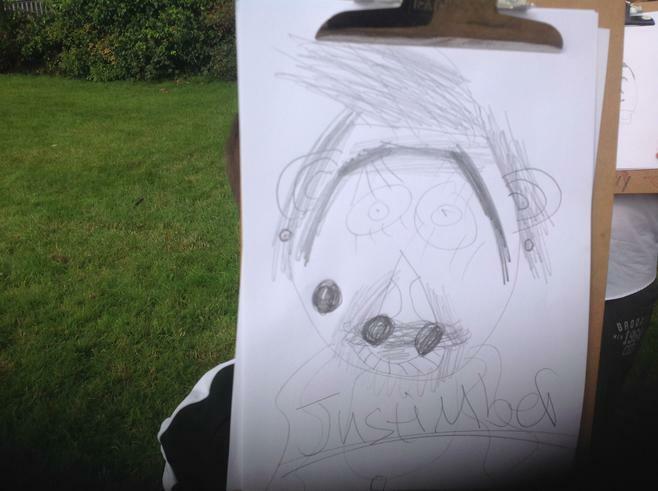 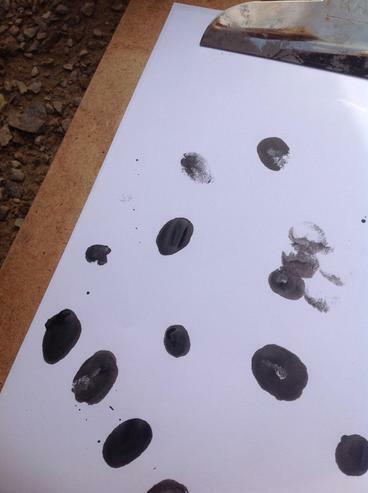 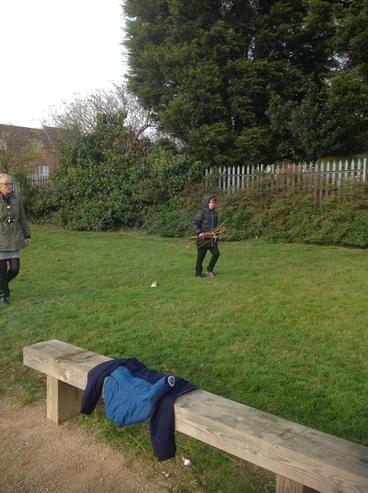 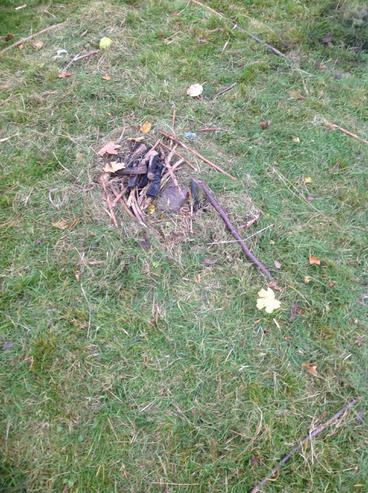 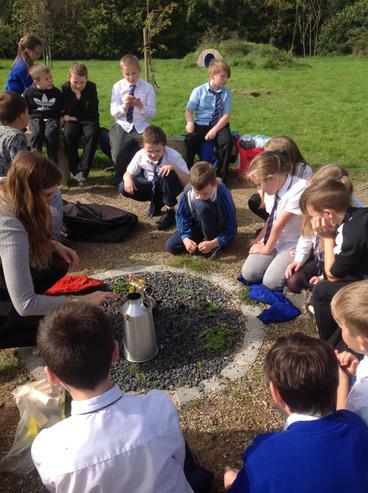 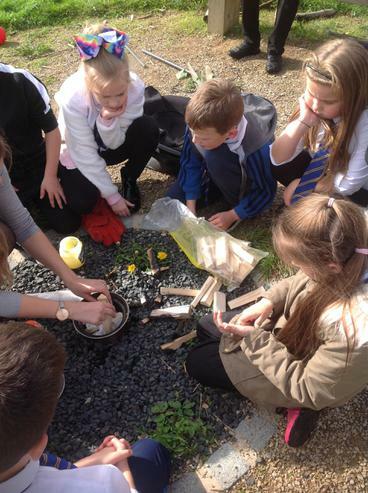 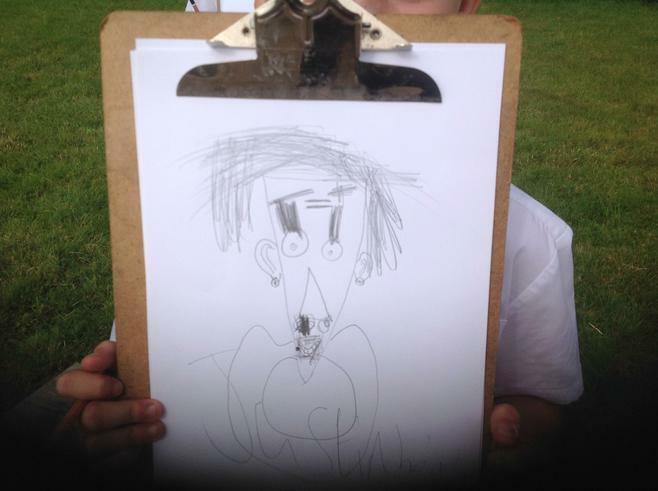 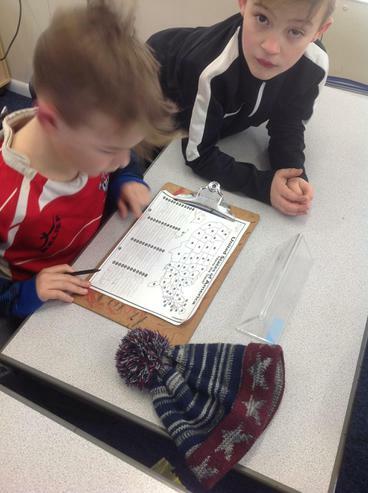 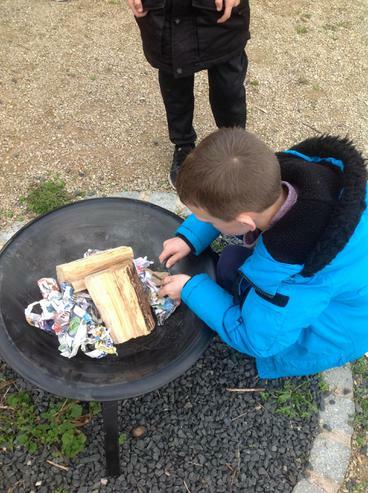 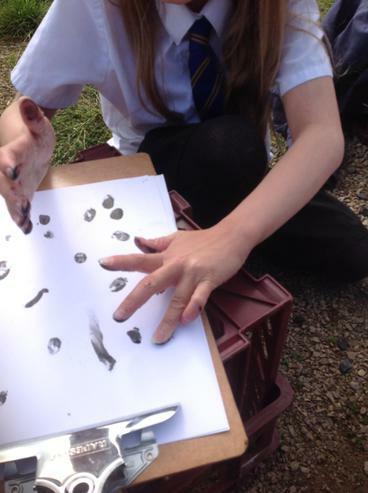 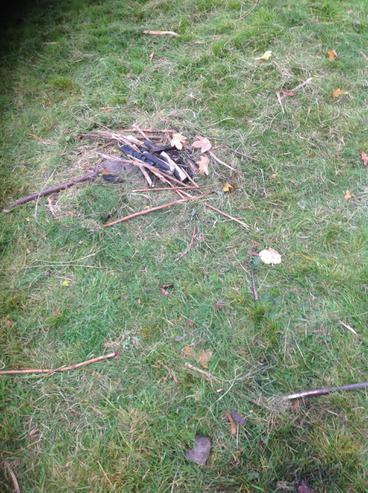 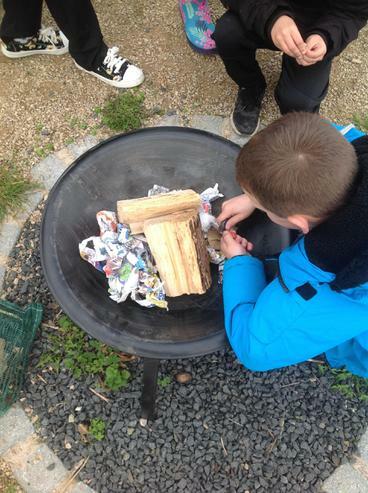 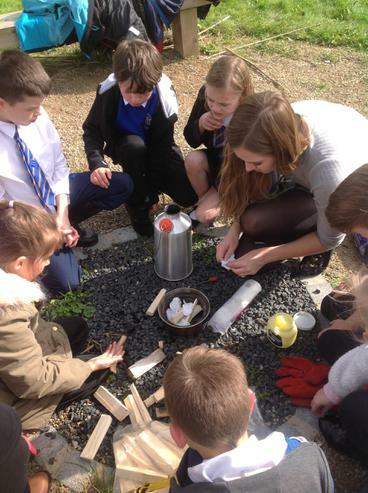 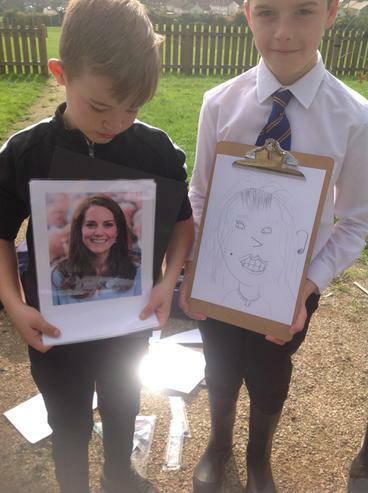 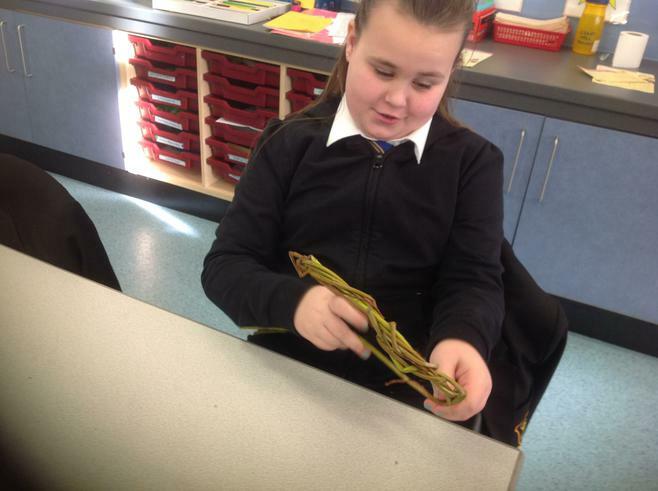 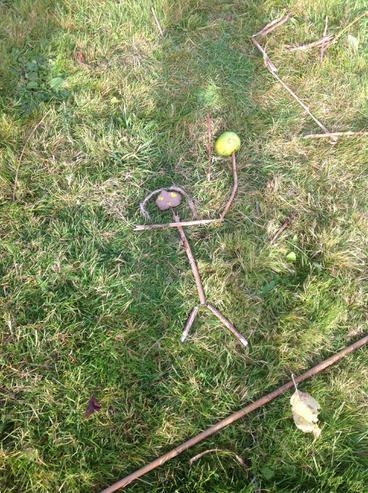 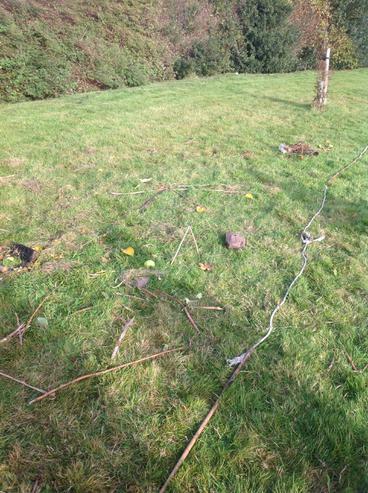 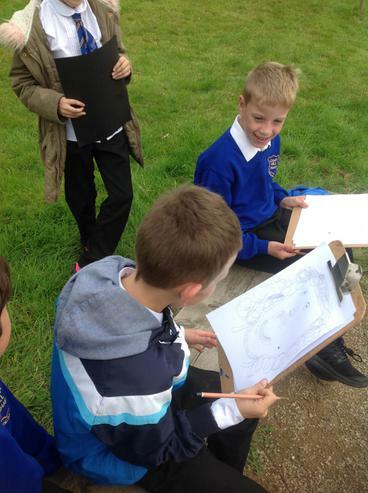 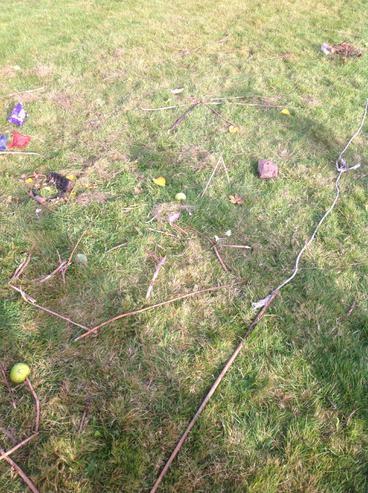 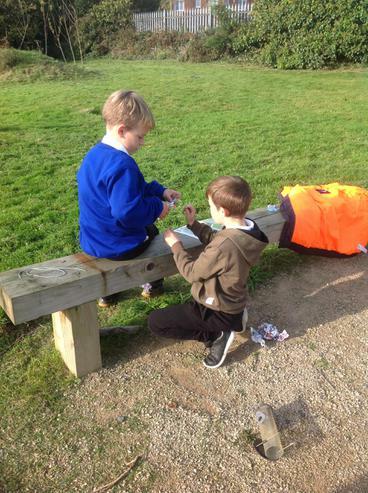 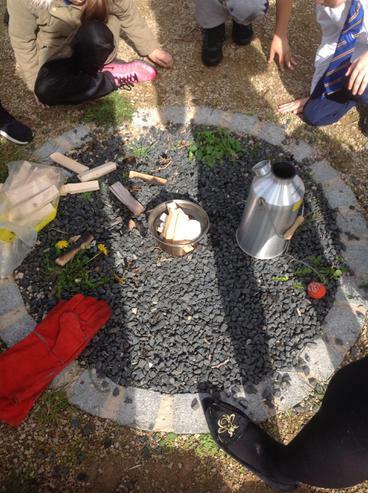 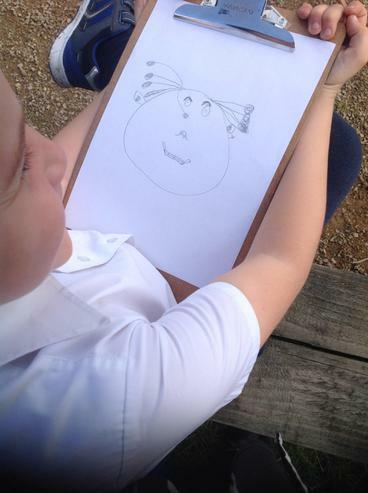 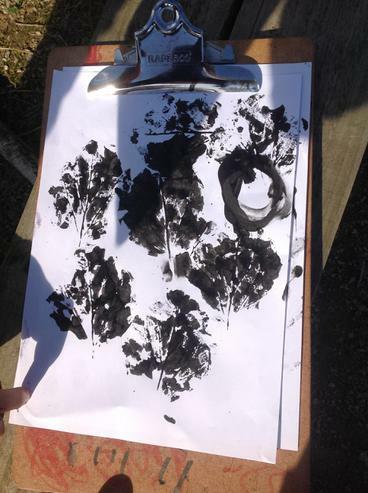 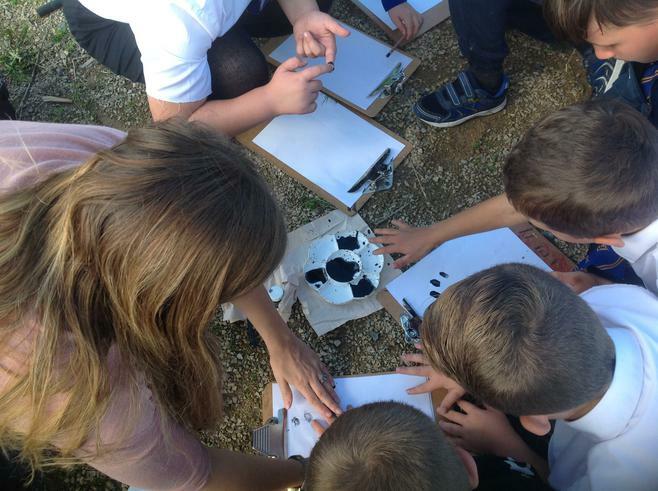 Then, they made pictures of Bonfire Night using natural found materials from the Forest School site.